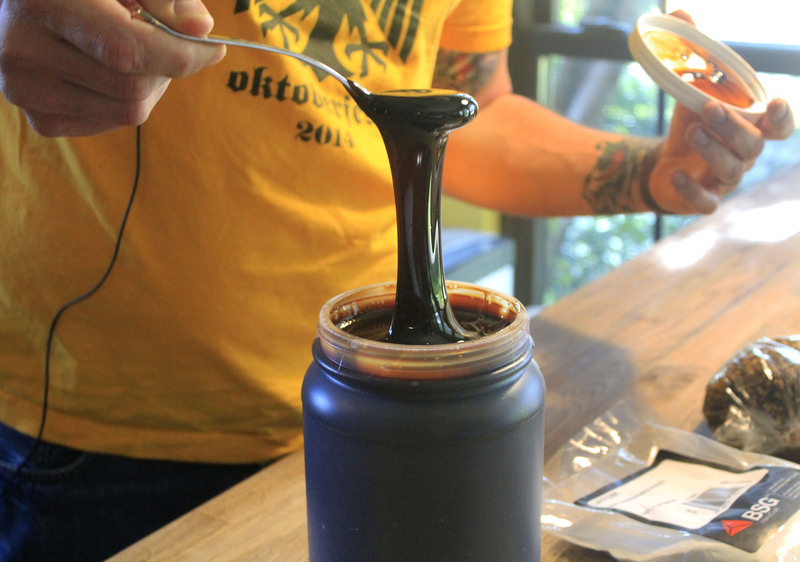 As the do-it-yourself culture grows, brewing their own beer is becoming a favorite hobby for Austinites. 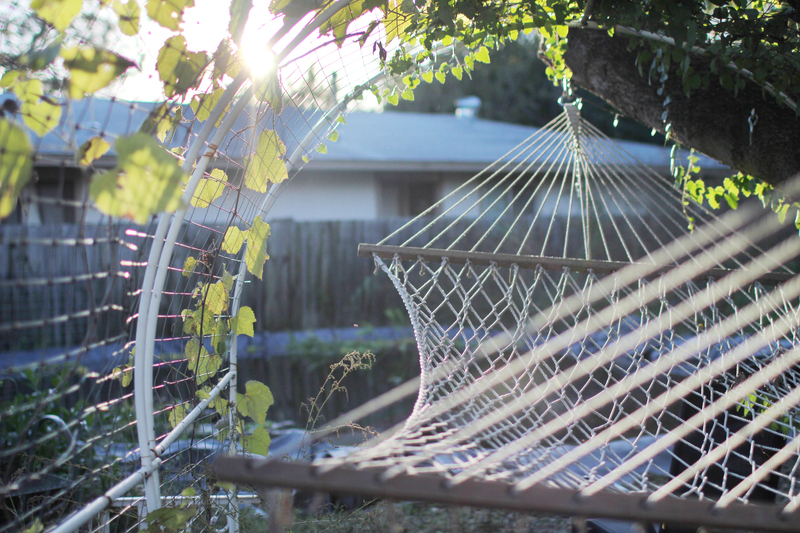 With over 20 craft breweries, annual beer festivals, two homebrew supply stores, and a crafty reputation, it’s no surprise that Austin has developed a vibrant, supportive and ever-growing homebrewing community. 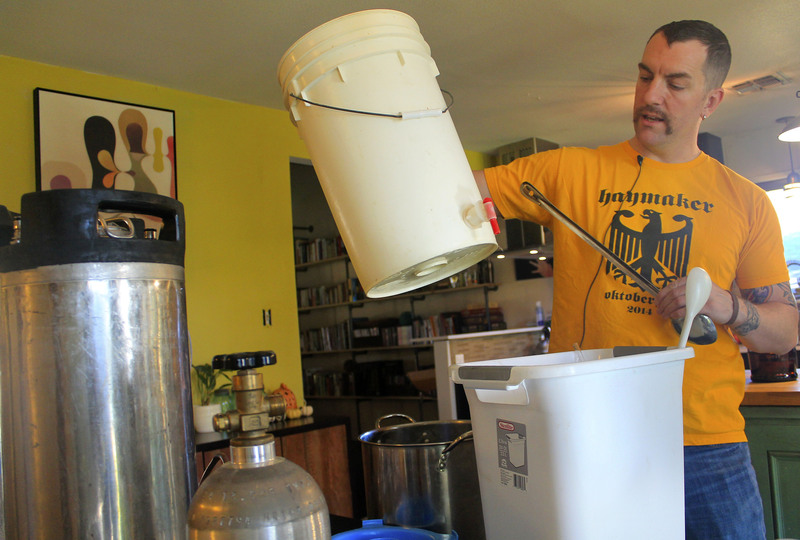 Dave Ebel has been homebrewing for almost eight years. He got started when his friend sold him his homebrew kit for $40. He tried it once and loved it, and has been brewing ever since. 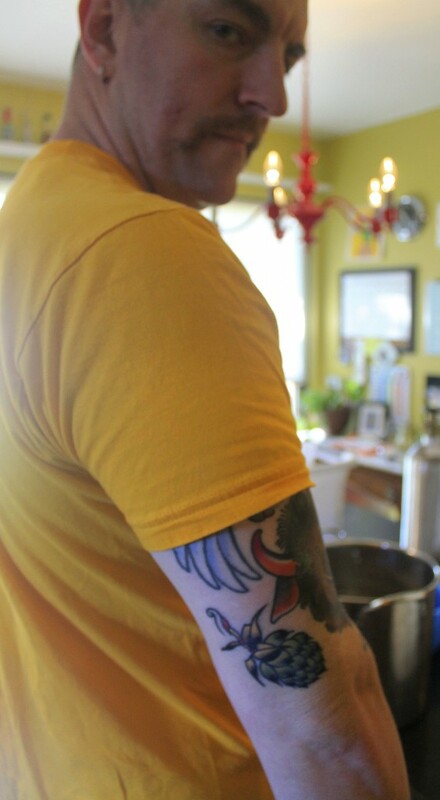 Ebel is a member of the Austin Zealots, a local homebrew club that gets together once a month to swap brews. 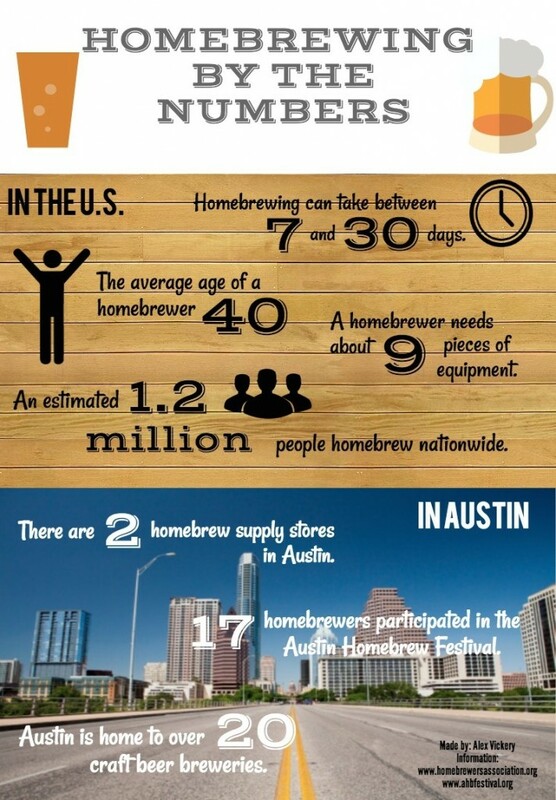 He said the homebrew community in Austin is “amazing,” “supportive” and a lot of fun. According to Texas law, homebrewers can’t sell their beer but they can give it away, which means sharing and comparing beers is a central part of Austin’s homebrewing culture. 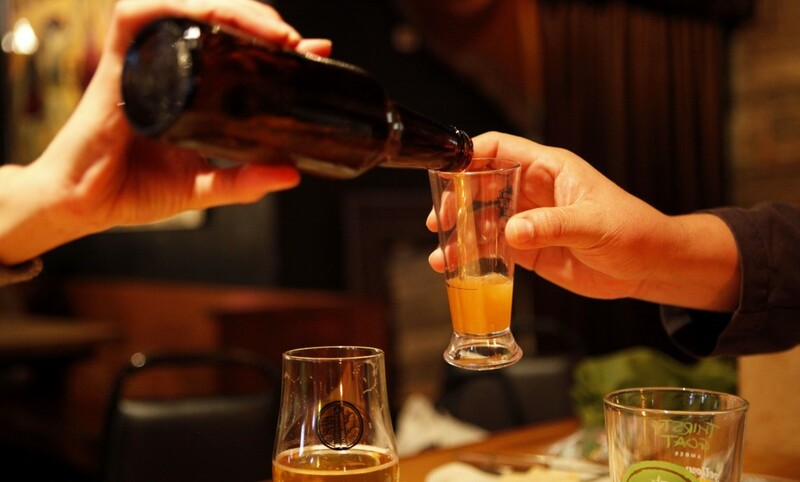 Ebel has seen both the homebrewing and craft brewing cultures grow side by side. “There’s more and more homebrewers every day, it feels like. 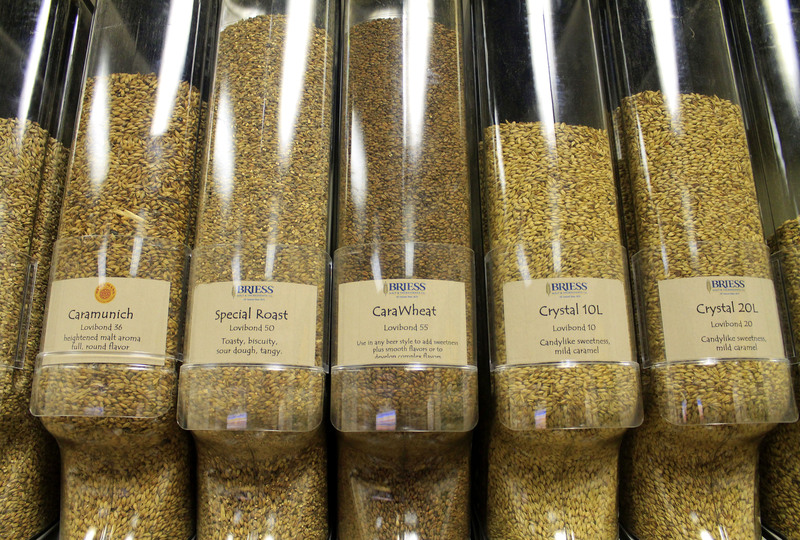 Talk to any homebrew supply shop in town and they’ll tell you the same thing,” he said. Chris Ellison, co-founder of SoCo Homebrew on South Congress Avenue, can testify to that. 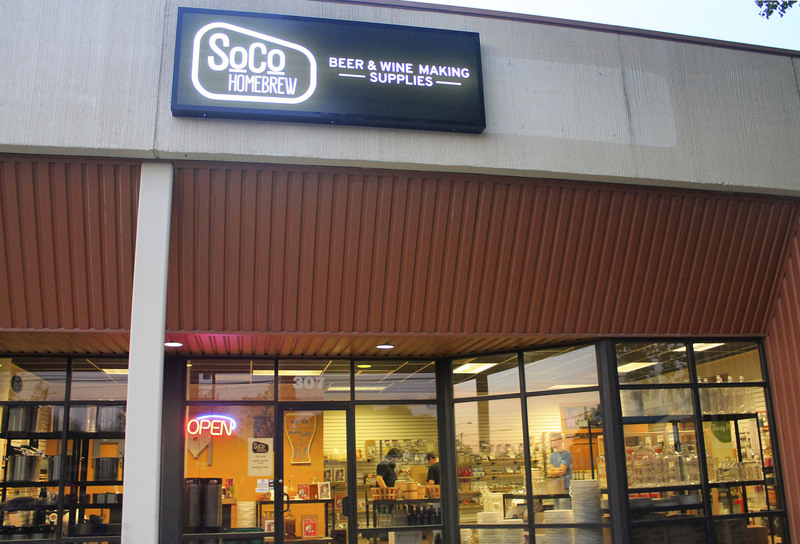 Before Soco Homebrew, there was just one homebrew supply store, Austin Homebrew Supply, up north. 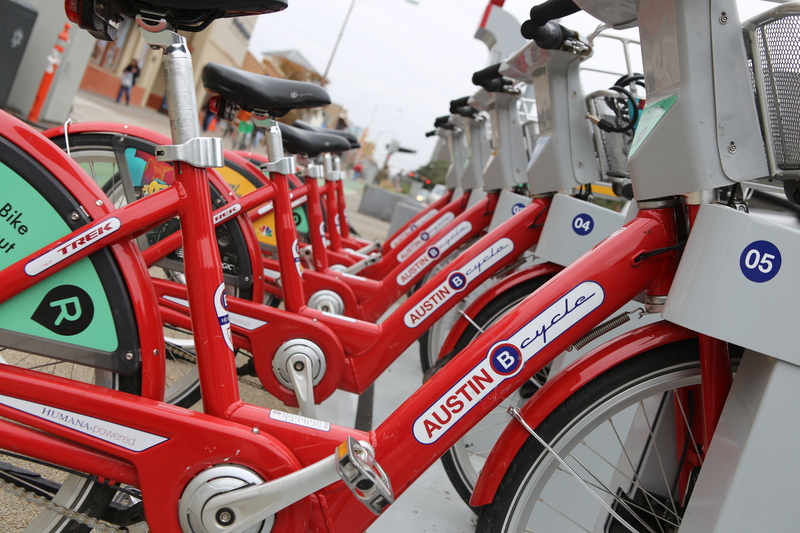 SoCo opened in August 2014 out of necessity to have a shop in South Austin, and the reception has been “fantastic,” Ellison said. “There are more and more homebrewers every day. 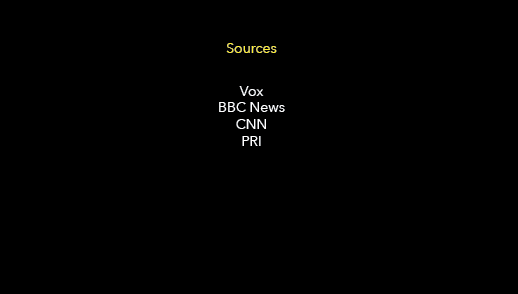 We see it all the time. 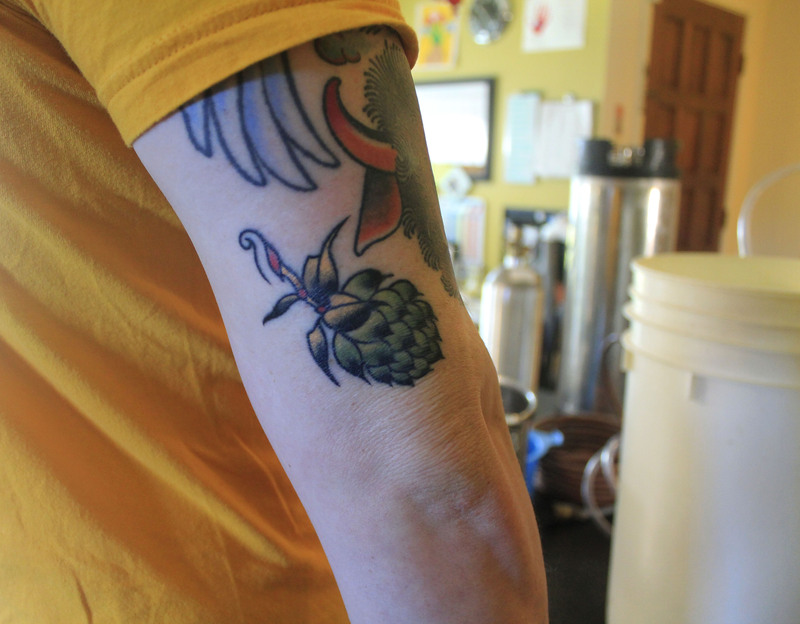 We see new homebrewers come in – people that just start – and they become our repeat customers,” he said. 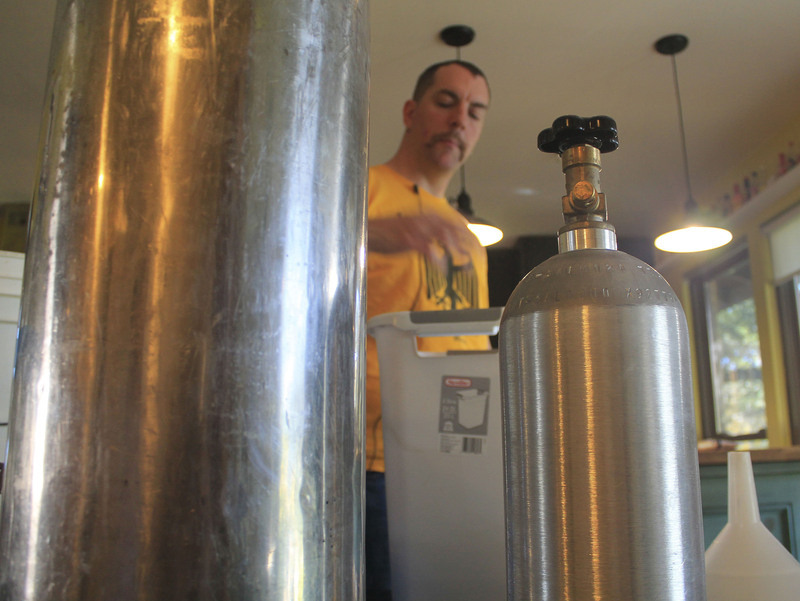 People can get into homebrewing for a variety of reasons, Ellison said. Some simply want to save money by brewing their own beer, while others are looking for an extra hobby. There are also homebrewers who are very “engineer-oriented” and like to create very specific things, and finally, there are those who use homebrewing as a creative outlet. 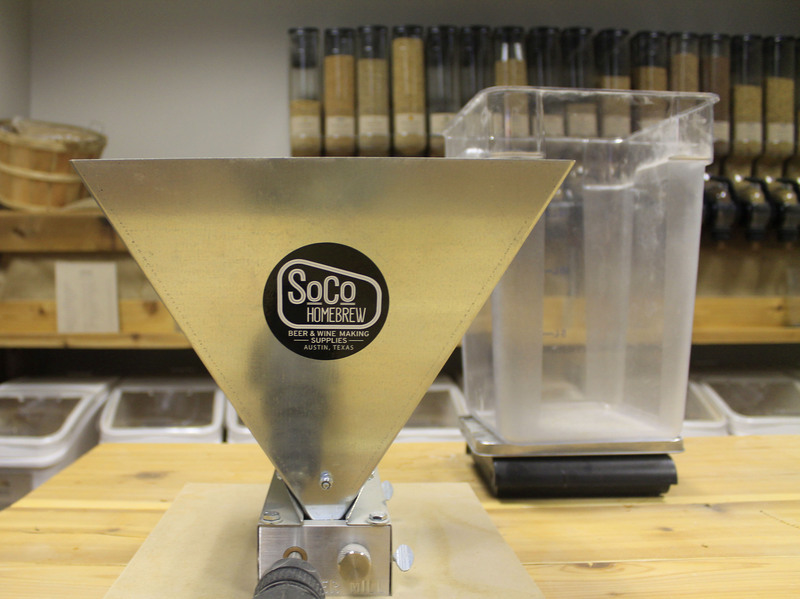 Ellison and the other SoCo Homebrew founders created the store to provide a friendly and supportive environment where entry-level and pro homebrewers alike can find the supplies and ingredients they need to help them grow in their craft. The annual Austin Home Brew Festival aims to bring together and celebrate the city’s diverse homebrew culture. Organizer Wendy Salome started the festival in 2009 as a small fundraiser for her children’s independent school, and like the homebrewing community, it has grown each year. This year’s festival took place on Nov. 15, and there were about 250 attendees with a competition that included 17 home brewers and a panel of judges from four local craft breweries. 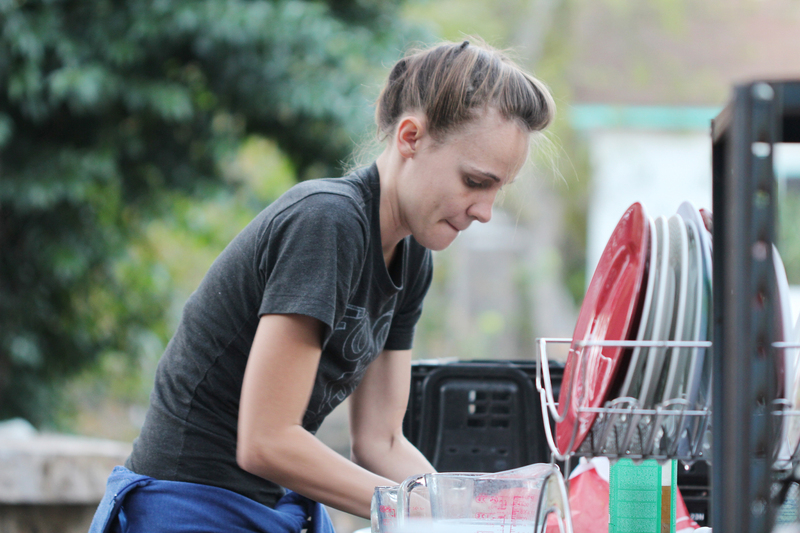 Salome, whose husband is a homebrewer, said that one reason Austin’s community is growing is because it fits perfectly with the city’s creative and crafty culture. 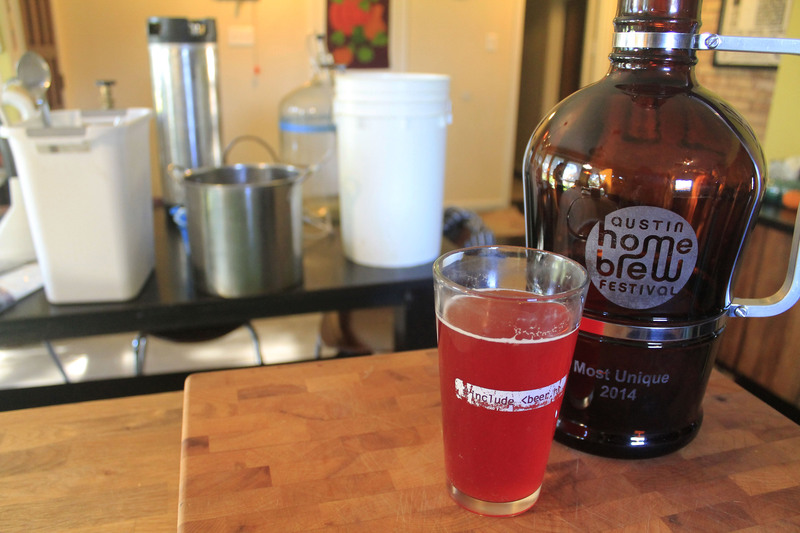 Homebrewer Christian Holton loves to experiment by incorporating his love for spicy food. His take on a Belgian Saison, Feisty Redhead, is brewed with bright red hibiscus petals, ginger, cracked peppercorn, coriander and fresh bright red jalapeños from his garden. It won the “Most Unique” award at the Austin Home Brew Festival. Holton describes homebrewing as “part chemistry, part biology, part cooking.” You will not always be successful, he said, but when you get it just right it can be addictive. 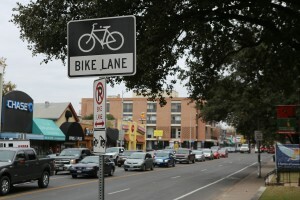 Austin’s continued growth may have driven from the city one if its most unique tenants. 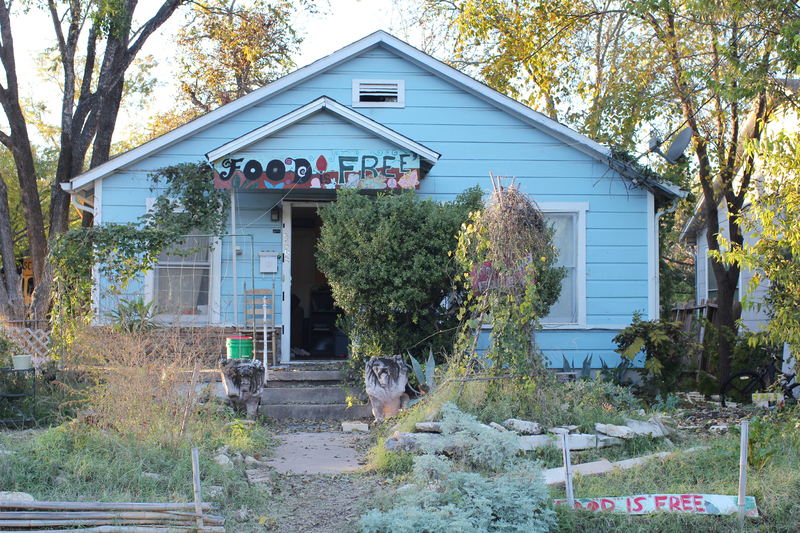 The Food is Free Project is a nonprofit organization that began operating close to three years ago. Started with a single frontyard garden, the project soon spread through the surrounding neighborhood and turned into a communal happening. 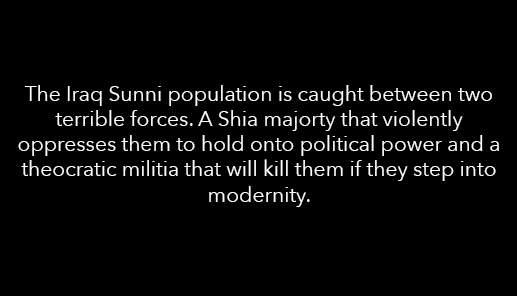 That’s the message that was given by John VanDeusen Edwards in a recent promotional video. 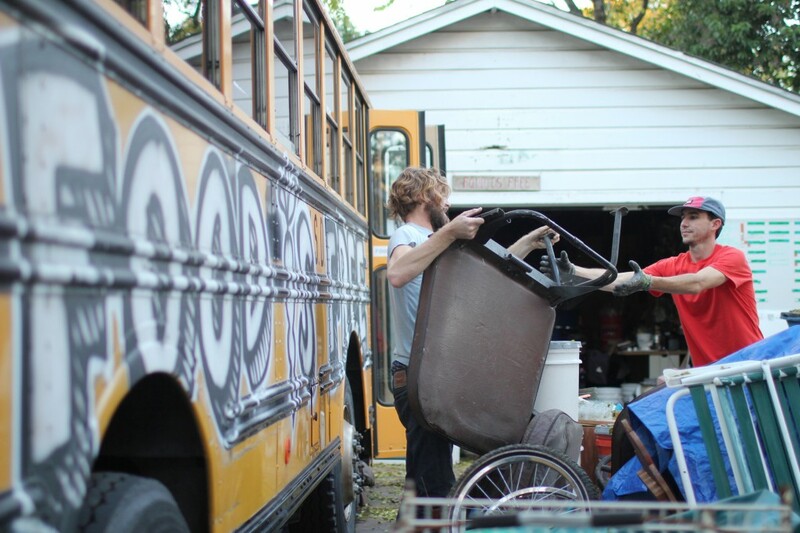 It was assembled in the hopes of attracting community support and donations to Food is Free. Those funds were made necessary when the owner of the land Food is Free’s headquarters had to that point been based at decided that he was going to sell to a new buyer. 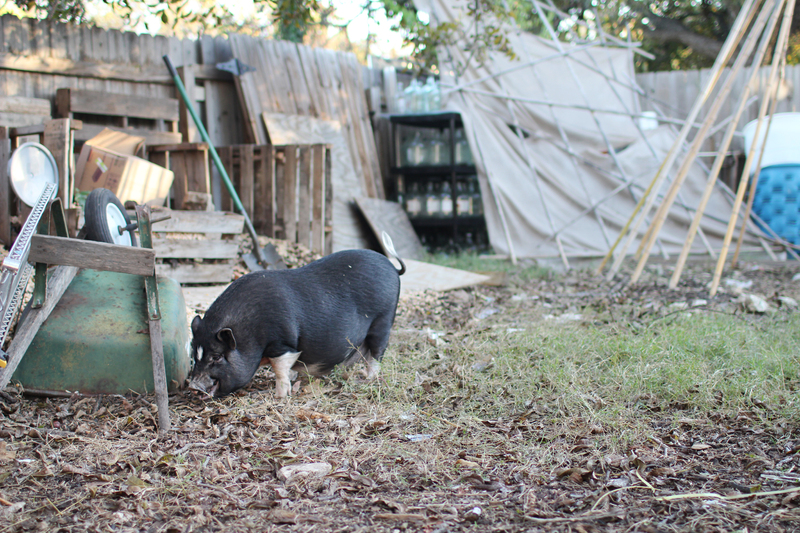 The location at 5608 Joe Sayers Ave. is yet another to fall victim to the growing influx of new Austin residents. Over the past 25 years, the inner city’s population has nearly doubled, with much of the metropolitan expansion turning inward as old properties are converted into new, more efficient uses of the land. 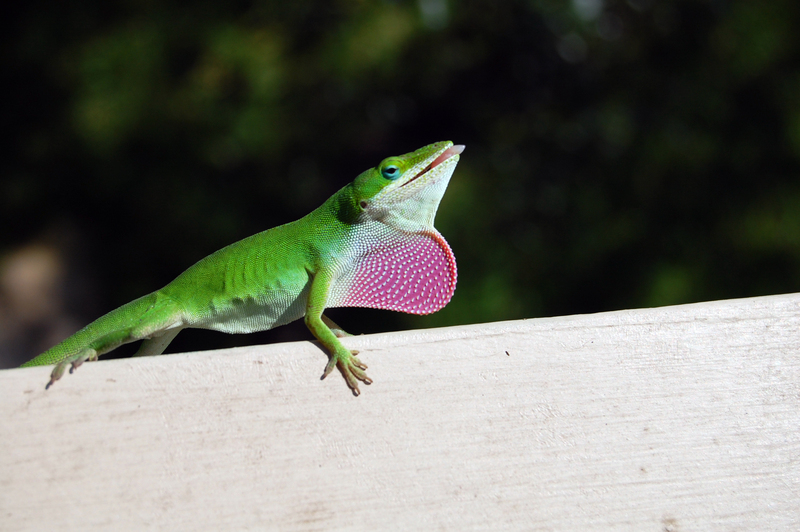 When he discovered that Food is Free would soon feel the effects of the city’s changing landscape, Edwards was concerned. 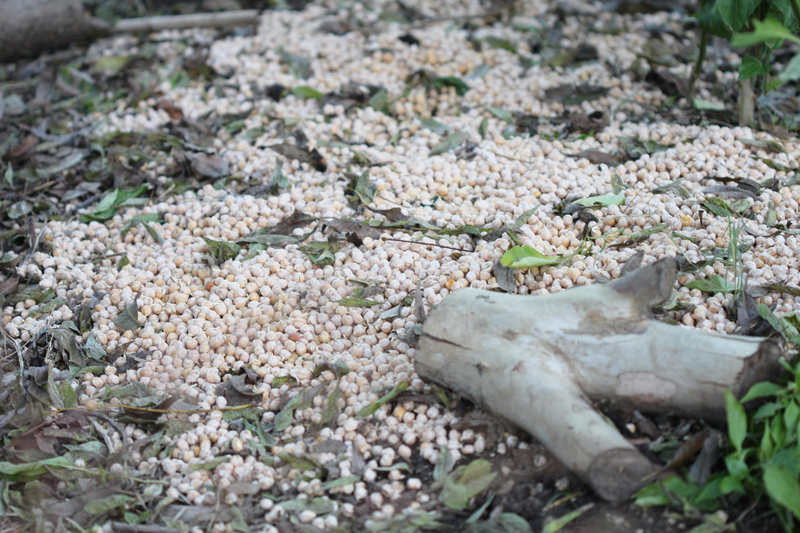 “It was disheartening, honestly, looking around at our farm, what we’ve put so much work into,” Edwards said. The landowner, who declined comment, had made up his mind. Edwards and his compatriots at Food is Free would need to find a new home. To do that, Edwards reached out for monetary contributions. 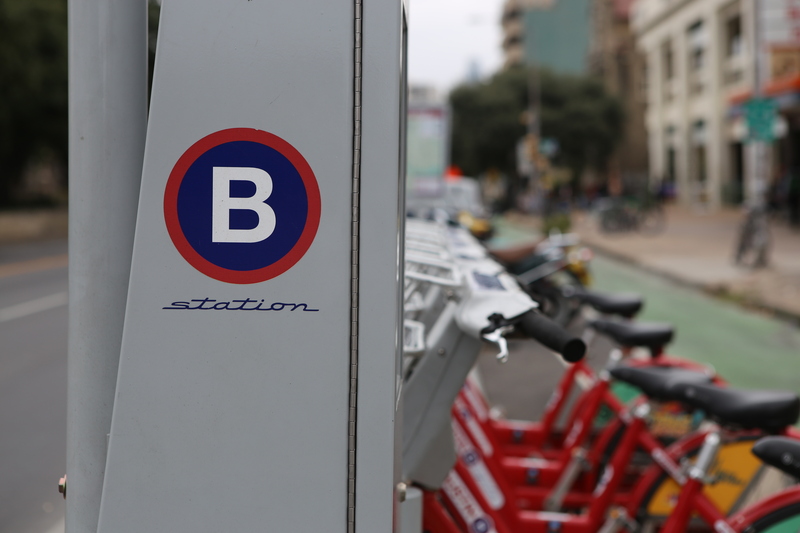 The organization established an online funding campaign using Indiegogo, a crowdfunding website. The stated goal was to raise at least $250,000 towards the establishment of a new and permanent headquarters for the project, a place where the group’s efforts could be furthered and those new to communal gardening could be trained in the practice. The campaign was not as successful as Edwards had hoped. “Our campaign was raising more money than we’d ever had, but we’d asked for $250,000 to buy a new permanent home and we were at 20 or 30 thousand,” Edwards said. 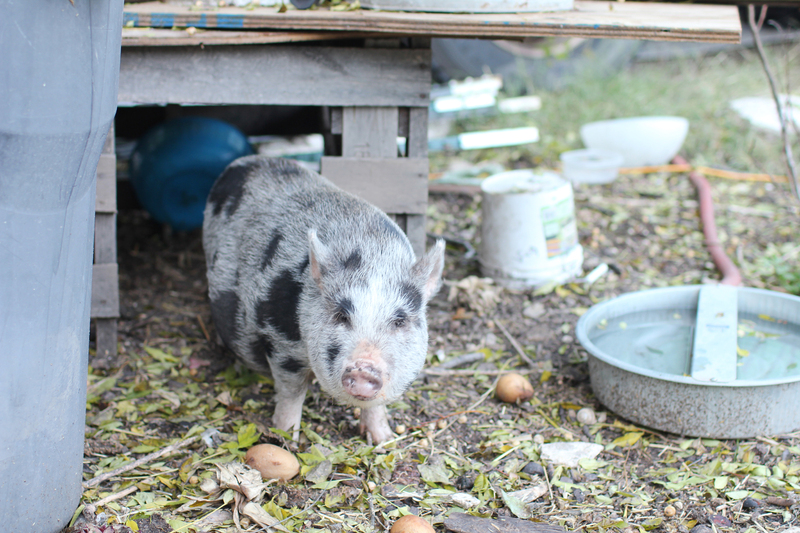 But as concerns were growing at Food is Free, a new benefactor stepped into the picture. A landowner offered to provide Food is Free with a new space for the headquarters. The individual, whose identity has not been revealed, had been looking for a group to develop the land into a space that could be developed and used for teaching about environmentally friendly practices such as gardening. The only catch was the location: Fayetteville, Arkansas, far removed from the city of Austin where the project had originated. But that wasn’t going to stop Edwards and his team. “It almost seemed destined. It was really amazing,” Edwards said. 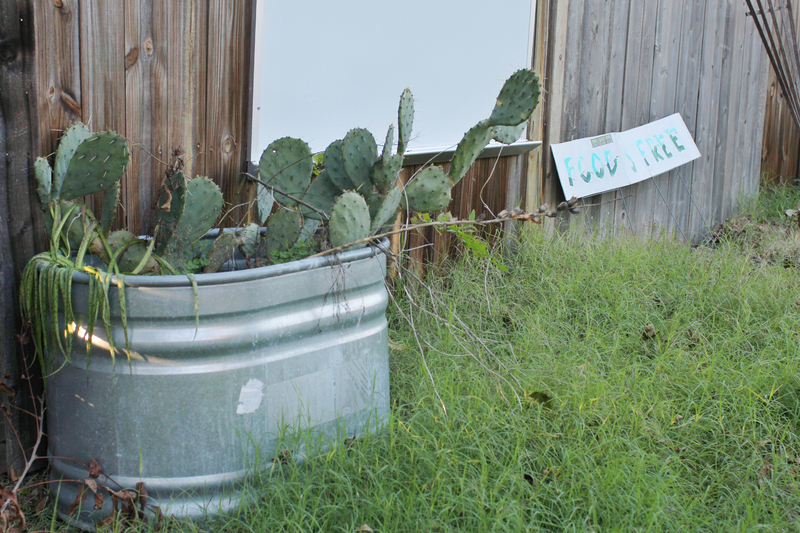 And while it would mean leaving Austin, Food is Free has already expanded beyond the city’s boundaries. 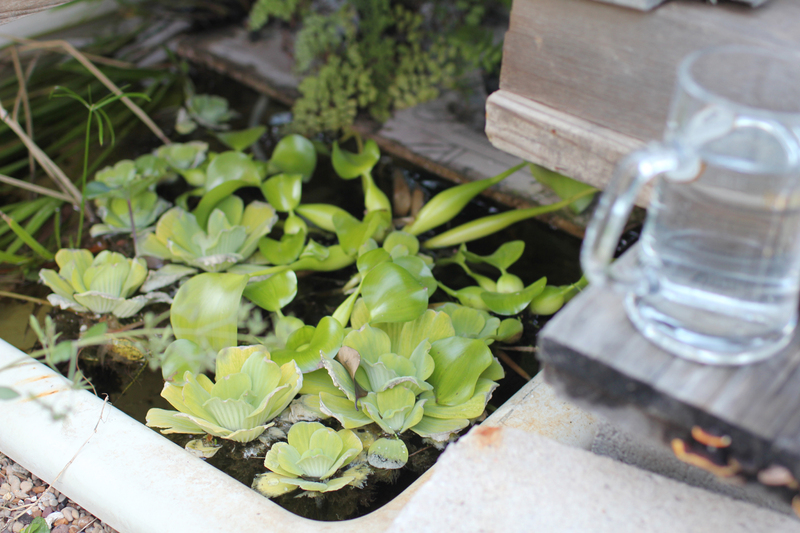 Close to 200 cities have established gardens through the project’s outreach. 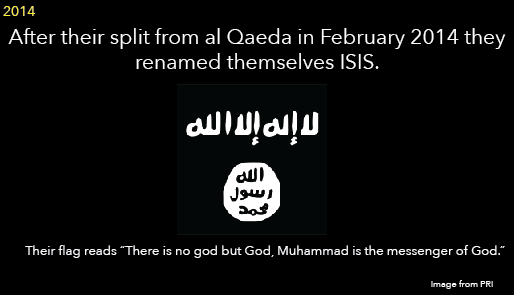 Those cities cover 26 countries, including Egypt, New Zealand, Thailand and Tunisia. “That (the project) has already gone around the world and back again proves that it’s an idea that resonates with so many,” Edwards said. Note: Markers are not exact locations of farms. Food is Free has been able to expand in such a way largely on the strength of the universality of its message. 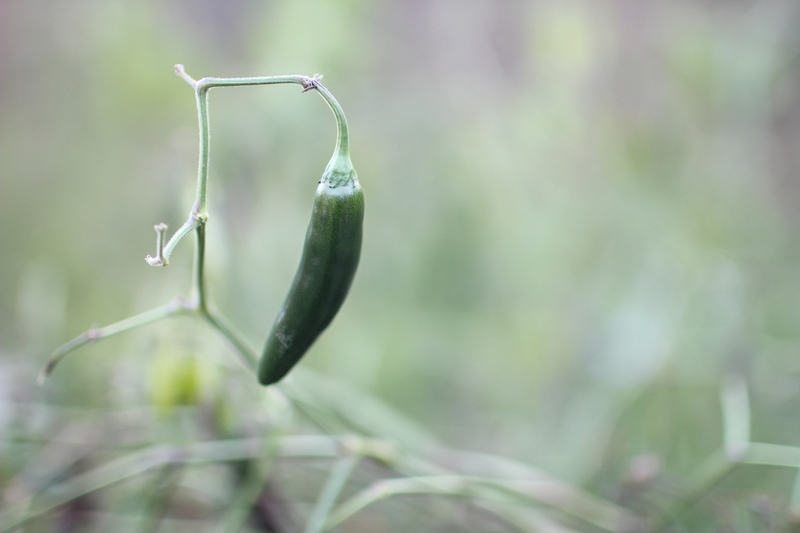 It’s a message that has attracted support not only from communities like the one that sprung up around Food is Free in Austin, but also from those with a strong platform for spreading it. 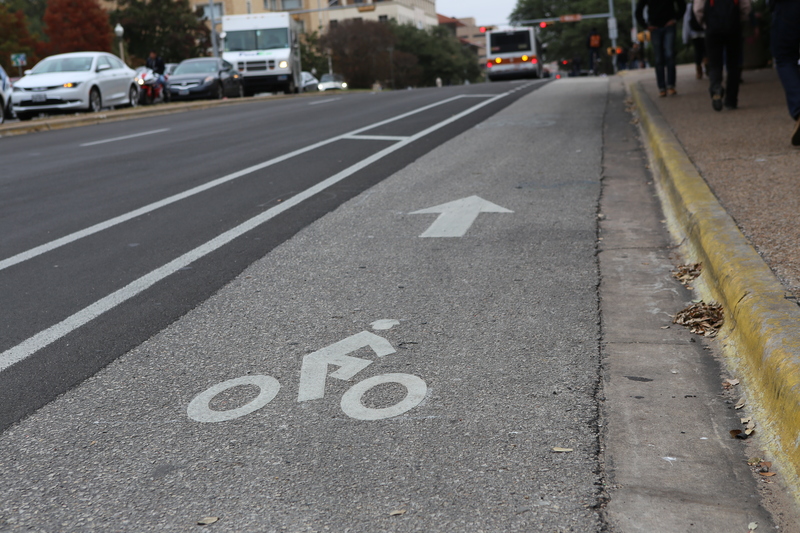 That the city of Austin no longer has room for such a thing might speak to where it is headed in the wake of so much growth. Ranked by Forbes as the fastest-growing city of the year, Austin boasts a low unemployment rate of less than 5%, a rate lower than the percentage by which the local economy grew last year. With tech giants such as Apple and Dell in the area, and new entrants such as Dropbox continuing to arrive, these numbers shouldn’t come as a surprise. 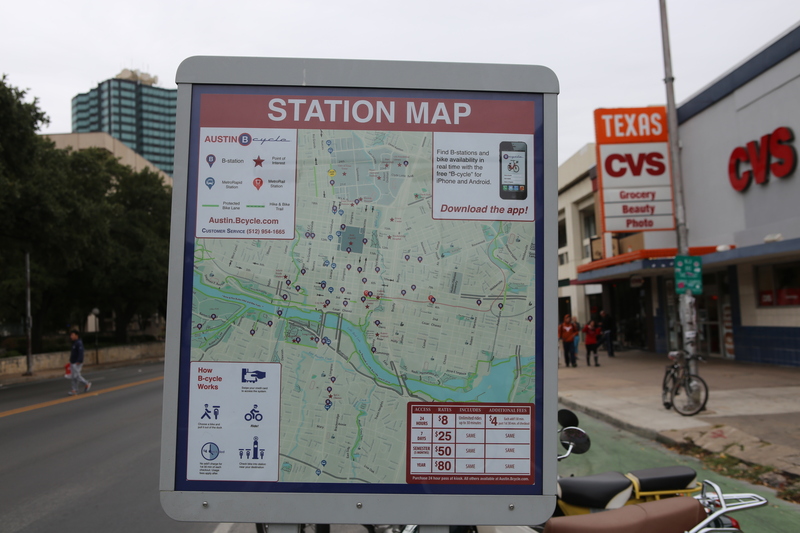 But they do hide the fact that smaller organizations like Food is Free, which have in large part helped to establish Austin’s modern identity, are feeling the pressure. 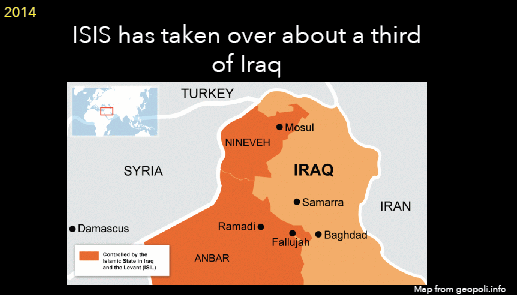 It was a warm evening in Mosul, Iraq – nothing out of the ordinary of the average 100 degree summer days. The sun was setting while Qusay Hussein and his older brothers warmed up for their volleyball game. 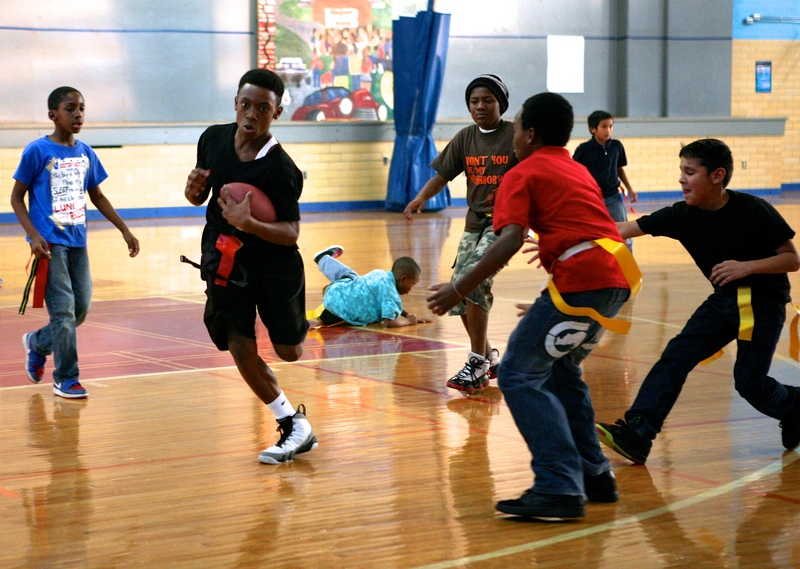 Held on an outdoor court, boys cheered and yelled as they spiked the ball over the 7ft net. Hussein was confused as a car drove onto their court. He made eye contact with the driver who formed a smile on his face and laughed before pushing his hand on the horn. Qusay Hussein stands by the window in his Austin apartment, his favorite place to talk on the phone to his family in Iraq. Photo by Helen Fernandez. “In a half hour he will be dead. Go help your other kids,” the doctor told his father after looking at Hussein’s head injuries in the local clinic. He was put in a room with the dead patients – until his father demanded to have his body brought back to the house to clean before the burial. “Father, I’m not dead. 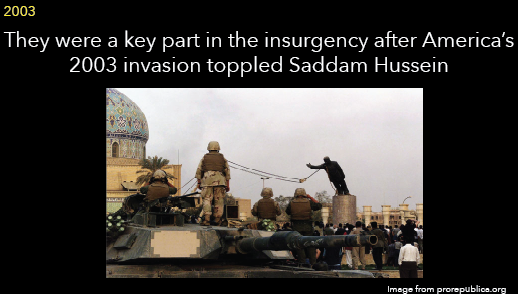 Please take me to the hospital” was the only thing Hussein could manage to say with shrapnel lodged into his head. “If we give him water, he will die,” Hussein heard the nurse say shortly after he awoke from a 12-day coma. With tubes coming out of his stomach, the only option was to dab his lips with a wet cotton ball to quench his thirst. 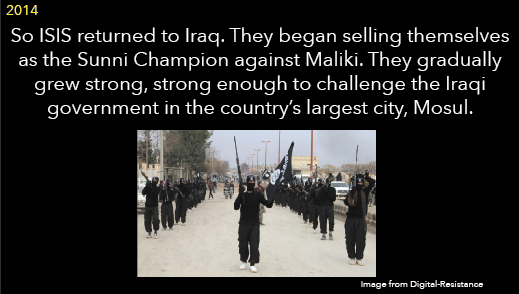 Twelve days ago 17-year-old Hussein watched a suicide bomber smile before he pressed down on the horn. 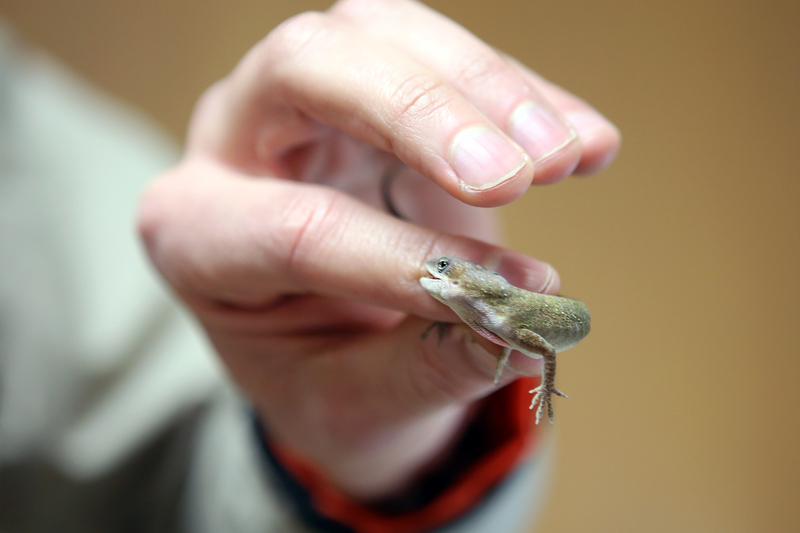 Twelve days ago shrapnel was lodged into his head – millimeters from his brain. Twelve days ago sixteen people were killed on a volleyball court. 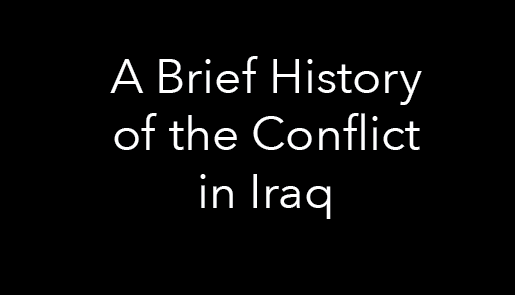 Although Hussein and his three older brothers were lucky to be alive, they did not escape unscathed. His vision was gone. His nose was gone. He was unrecognizable. 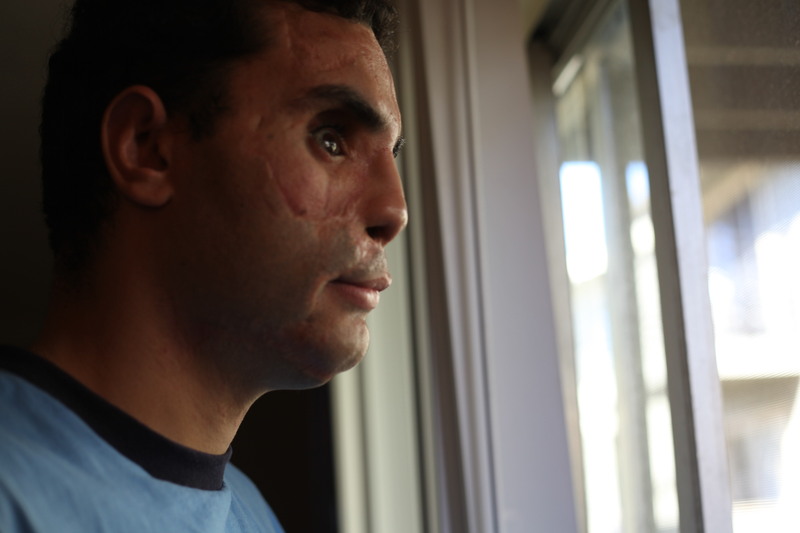 After more than 50 facial surgeries, Hussein sought refuge in Austin, Texas. 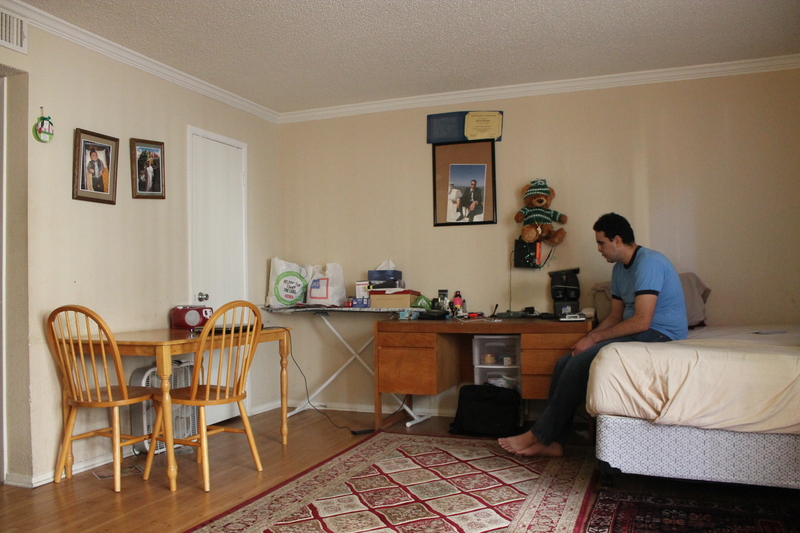 Hussein traveled over 7,184 miles from Mosul, Iraq to his new home in Austin, Texas. “I came here because I have a dream. 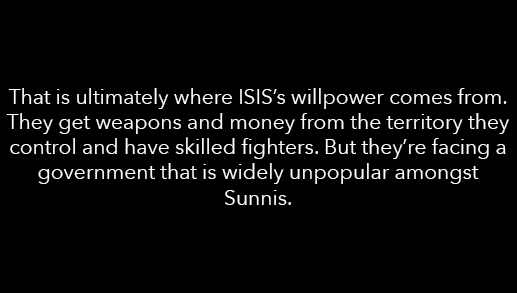 The blind people in Iraq can’t do anything, but I feel like I am the opposite. I can do everything,” he said. 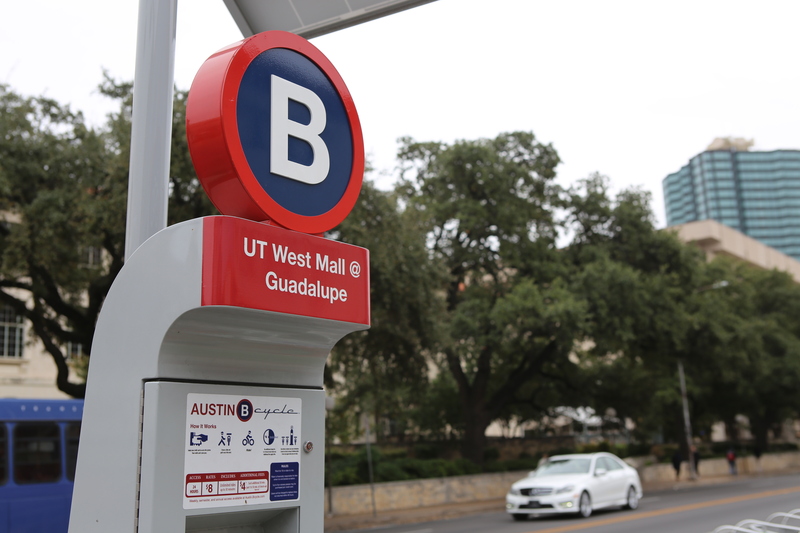 With schools, public transportation and different technology services for the visually impaired, Austin is a much more accessible place for Hussein to live. But it still wasn’t easy when he first arrived. He compares his first few weeks in America to being in jail. 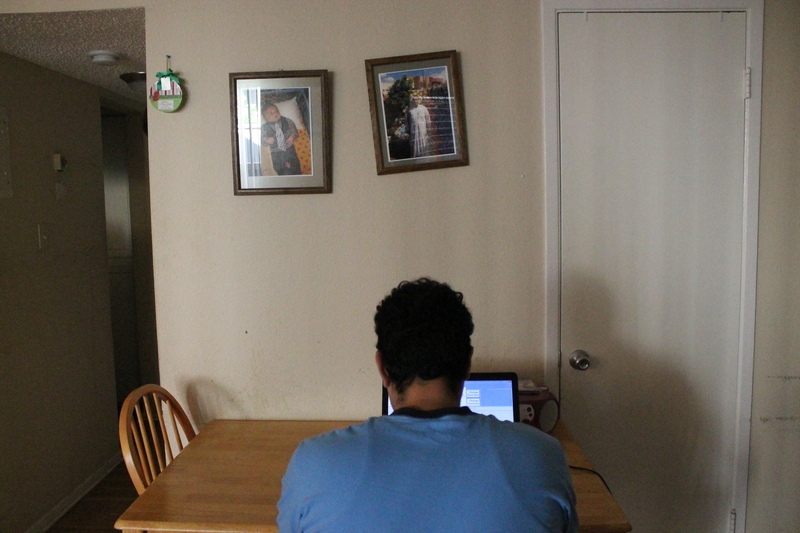 “I had a case worker who just brought food for me and closed the door,” said Hussein. 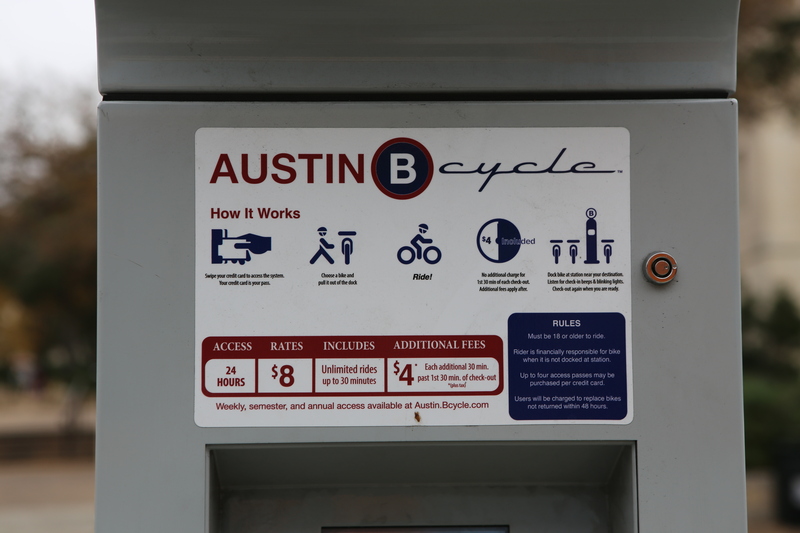 As he became more accustomed to the city and his case worker, he began to like Austin much more. 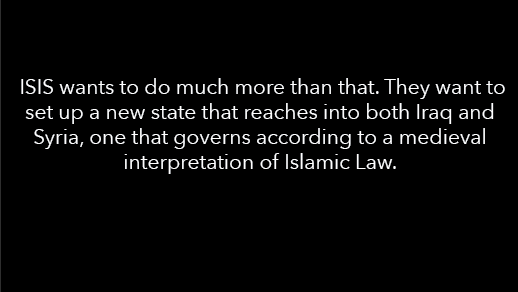 Agencies like the Refugee Services of Texas (RTS) have helped Hussein and many other refugees adjust to life in America. 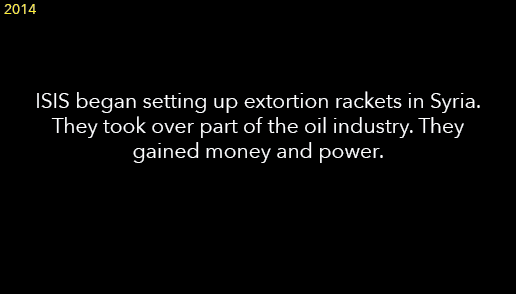 For 4 months the non-profit social service program paid for Hussein’s rent, while also helping with his documents and social security paperwork. 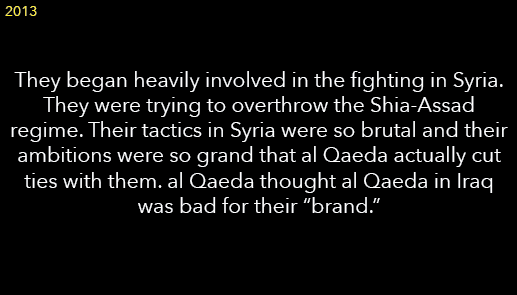 “They are really nice,” Hussein remembered. 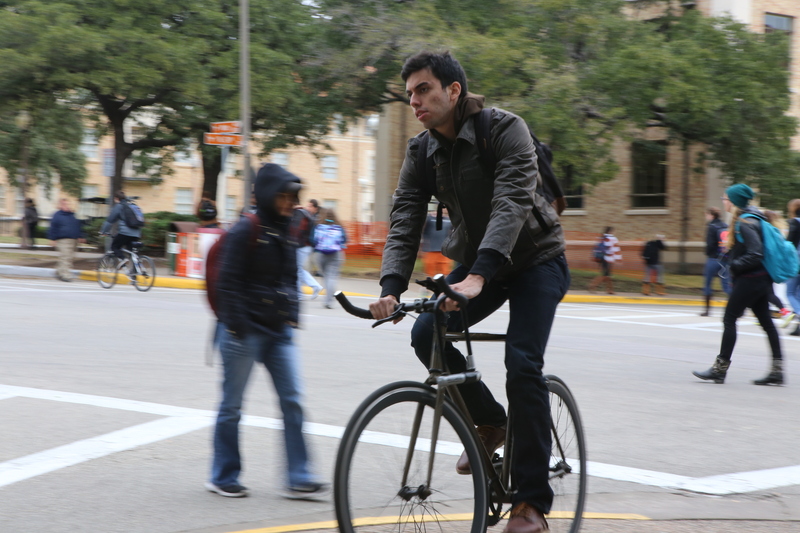 Inspired by RTS, a group of students at The University of Texas at Austin founded the Liberal Arts Refugee Alliance (LARA), which helps refugees feel comfortable in Austin, while also educating students about global conflicts. 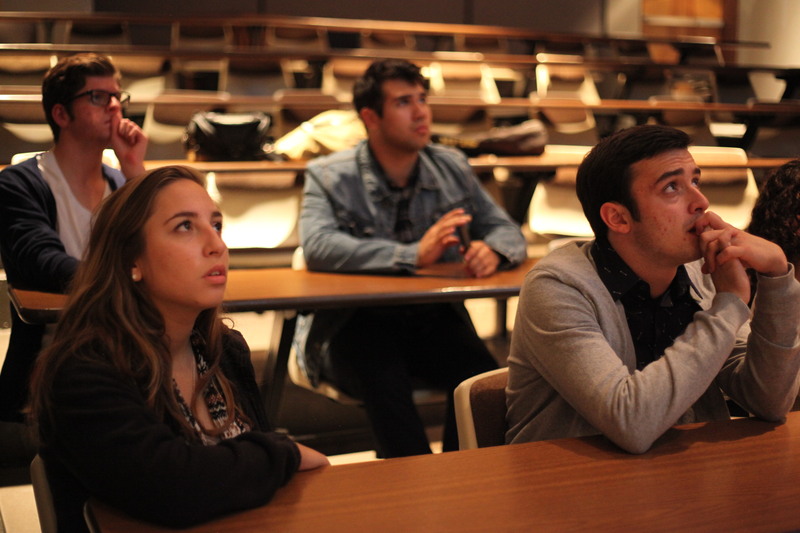 “The goal of the organization is to facilitate the relationship between student volunteers and the Refugee Services of Texas,” said LARA founding member Sam Karnes. 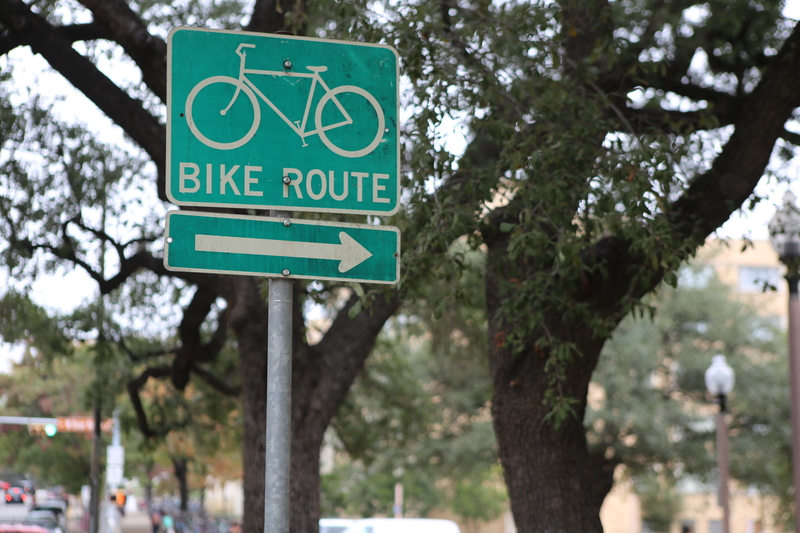 Both RTS and the student-run group LARA strive to help refugees find a place in Austin after escaping the crisis going on in their home country. Growing up Hussein dreamed of being a surgeon. 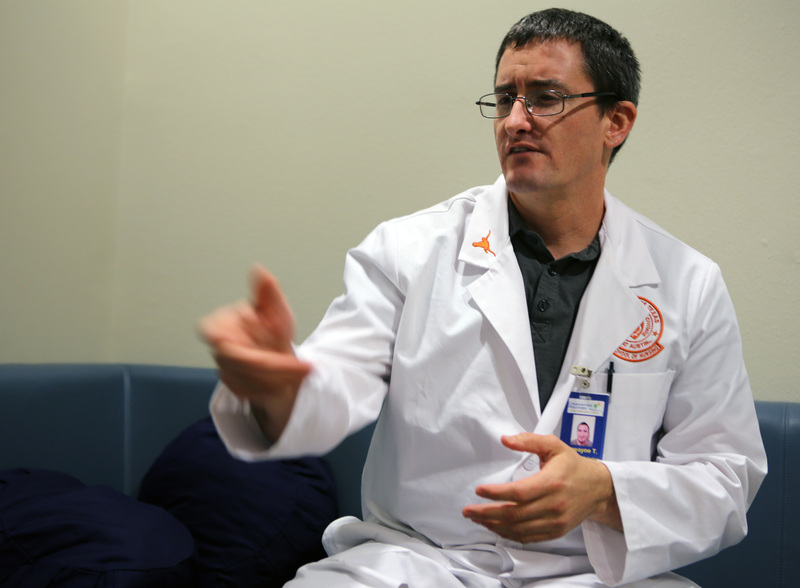 Although his visual impairment prevents him from operating, he hasn’t given up on being a doctor. Working toward a degree in psychology, he hopes to one day help other people overcome difficult situations. 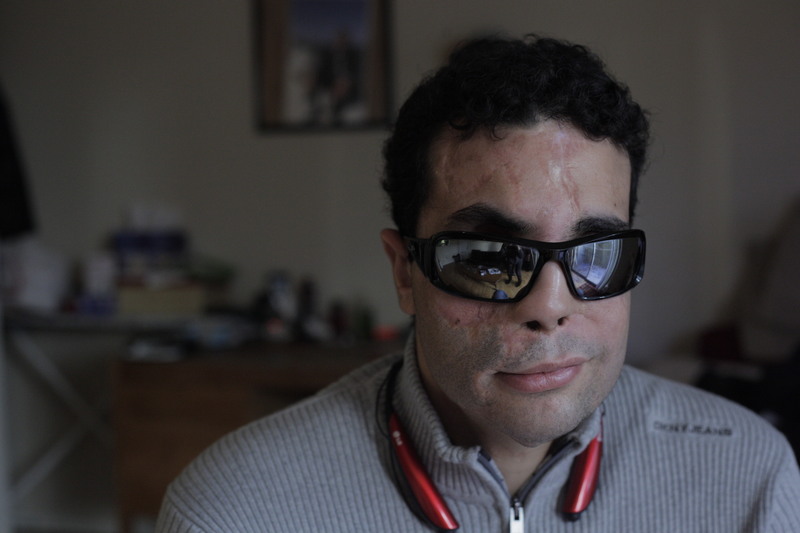 Qusay Hussein, an Iraqi refugee, wears sunglasses to cover his sightless eyes. 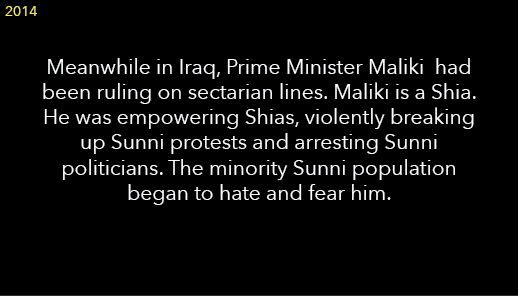 He lost his vision and tissue in his face when a suicide bomb exploded while he and his brothers were playing volleyball in Iraq. Photo by Helen Fernandez. 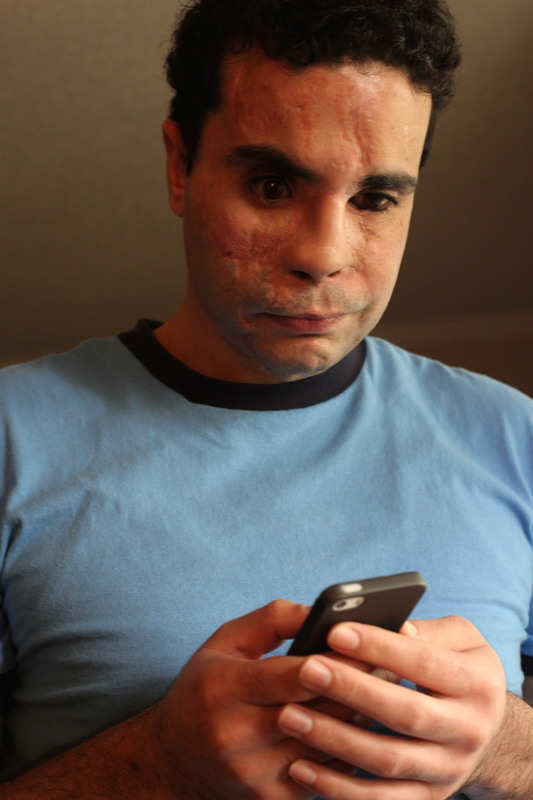 Since Qusay Hussein lost his vision, he listens to an audio device to learn math in his apartment. 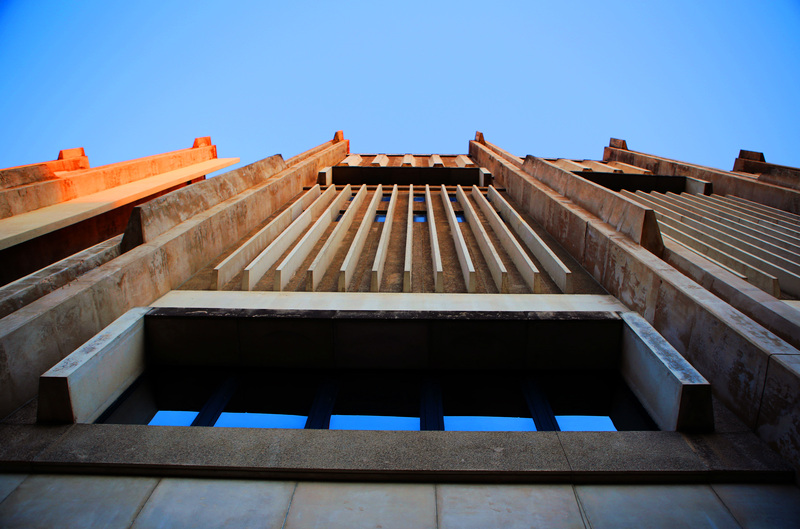 Photo by Helen Fernandez. Qusay Hussein does most of his studying in his apartment. He wants to focus on his education before getting a job. Photo by Helen Fernandez. 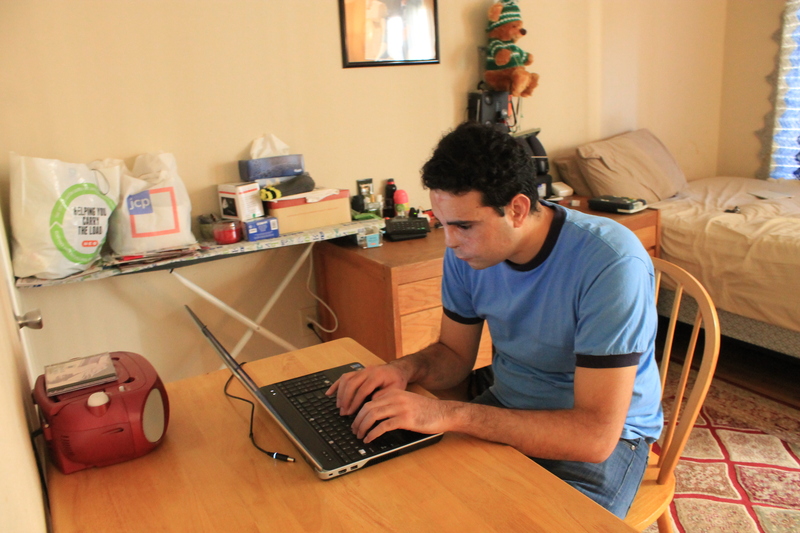 Although he can't see the screen, Qusay Hussein listens to computer commands during a lesson to improve his English typing skills. 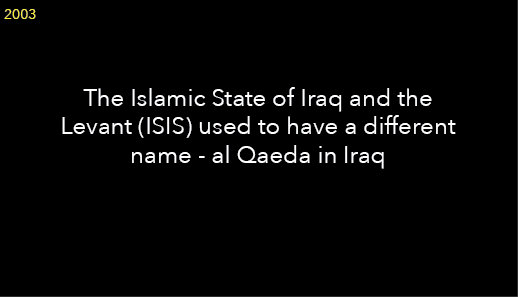 As an Iraqi refugee, he is constantly improving his English. Photo by Helen Fernandez. Student volunteers for the Liberal Arts Refugee Alliance (LARA) watch an informative film about unrest in foreign countries. LARA is an organization on the UT campus that gives students the opportunity to volunteer with the Austin refugee community. Photo by Helen Fernandez. 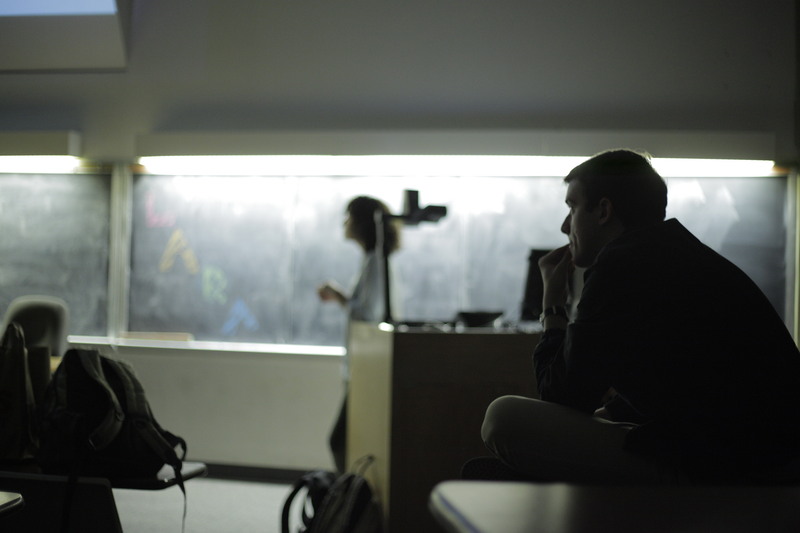 Some of the main goals of the Liberal Arts Refugee Alliance are to better inform students and volunteers about crises in other countries, and successfully assist refugees with their transition to the United States. Photo by Helen Fernandez. As one of the founding members of the Liberal Arts Refugee Alliance, Sarah Fisher's mission was to create an organization that raises awareness and provides help for the local Austin refugee community. Photo by Helen Fernandez. 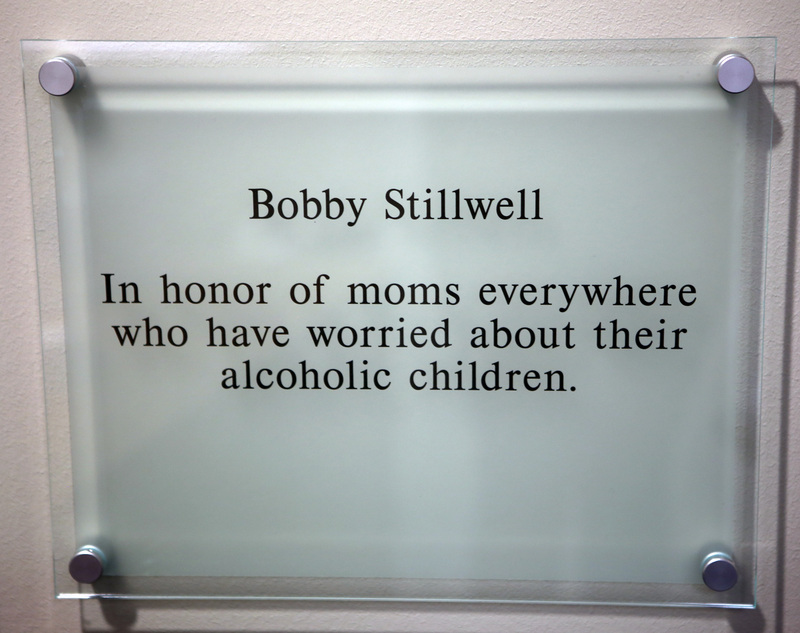 Alcohol and drug use can become a social norm or even a “rite of passage” for many college students. The common phrase “YOLO” can quickly spiral students into an addiction that’s difficult to overcome. 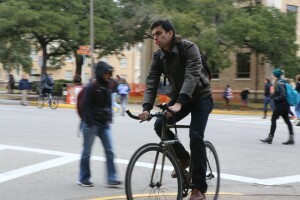 Addiction to drugs, alcohol or other detrimental habits amongst college students, instigated programs like Students in Recovery (CSR) at The University of Texas in Austin. 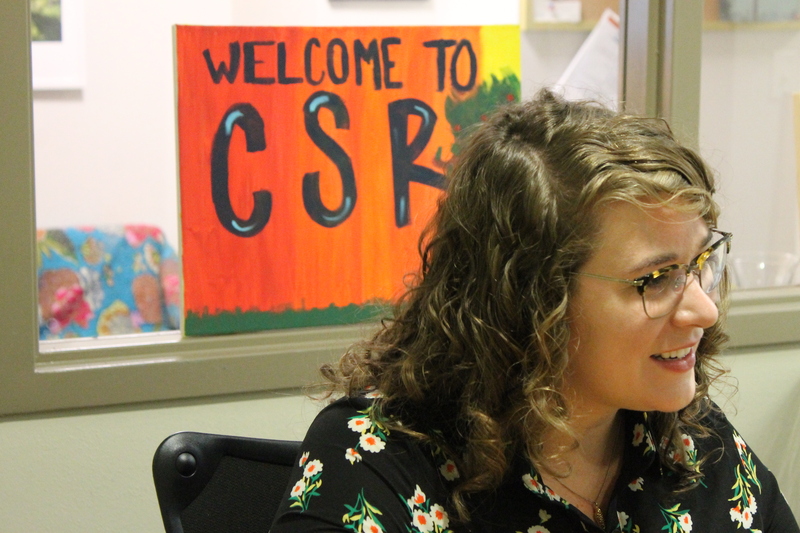 Founded in 2004, CSR is celebrating its 10th anniversary and continues to widen its scope of assistance for students seeking to recover from addiction. 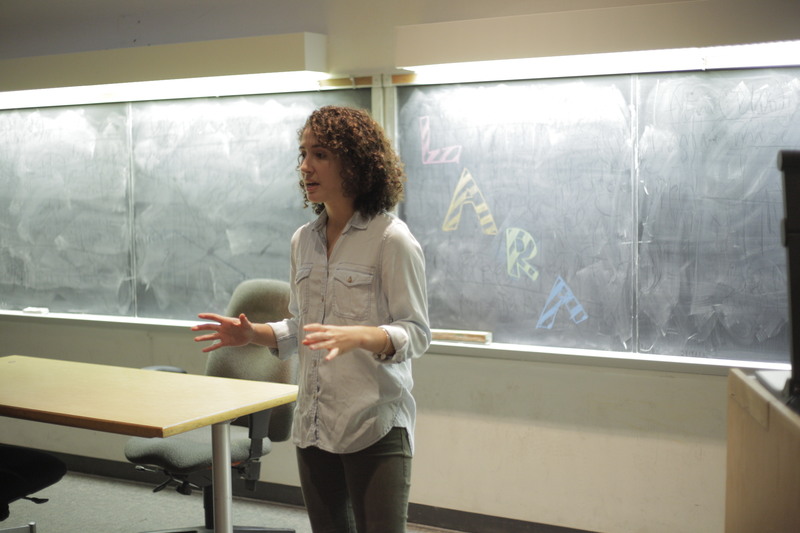 Sierra Castedo, acting director for CSR, says that students with addictions attend weekly recovery meetings and treatment programs on their own accord; they seek a genuine college experience. CSR’s peer-to-peer support system helps students in recovery to attain their goals.The magic of one student in recovery talking to another student in recovery, and having that experience where they totally understand each other without having to explain this big, scary, massive backstory,” is what helps make the work at CSR worthwhile, states Castedo. CSR also breaks down stigmas associated with drug, alcohol and other addictions. CSR Student Assistant Dewayne Trice describes the difficulties some students have in admitting and seeking help with their addiction. 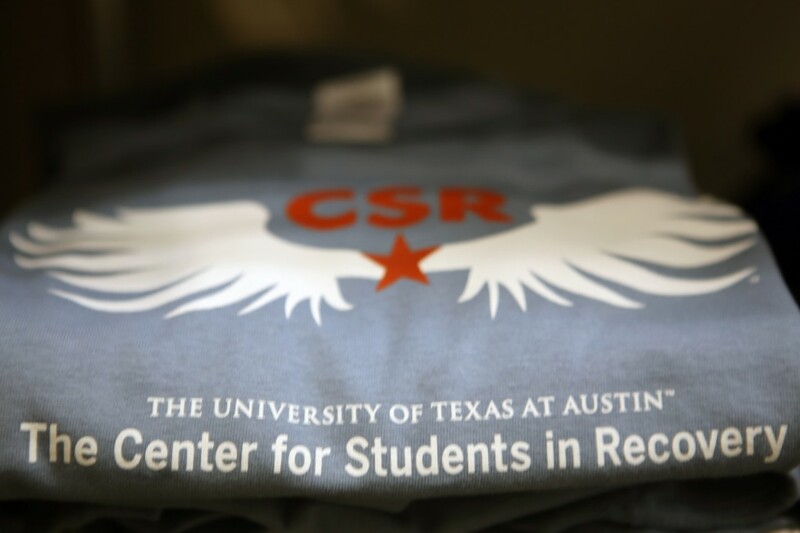 CSR hopes its success will inspire more collegiate recovery centers at UT and throughout the country. 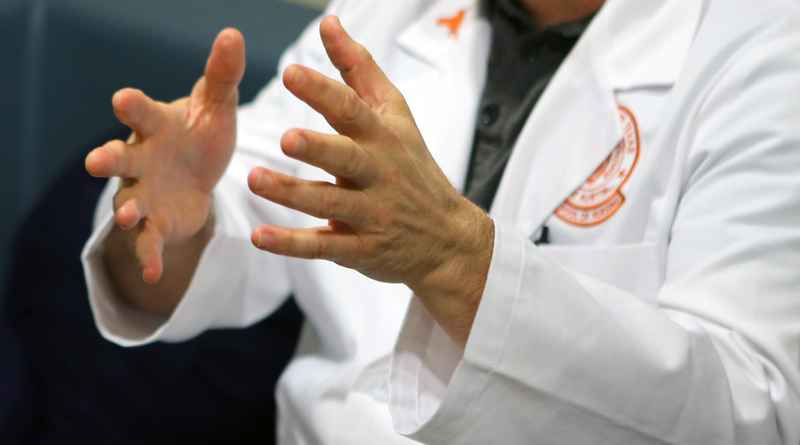 Out of 4,000 universities in the United States, only 100 have recovery centers similar to UT’s. 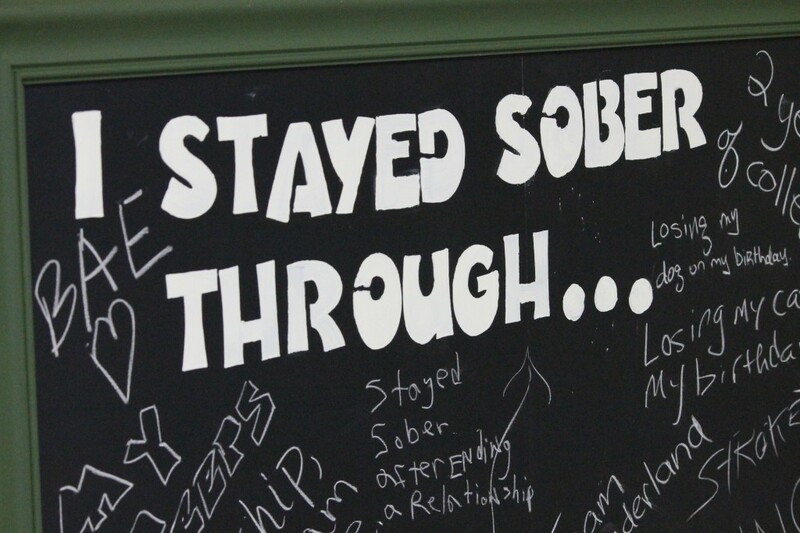 Recovery programs like these exist for addicts in high school as well. The University High School located in Austin, opened earlier this fall, and is the first of its kind not only in Austin, but central Texas as well. 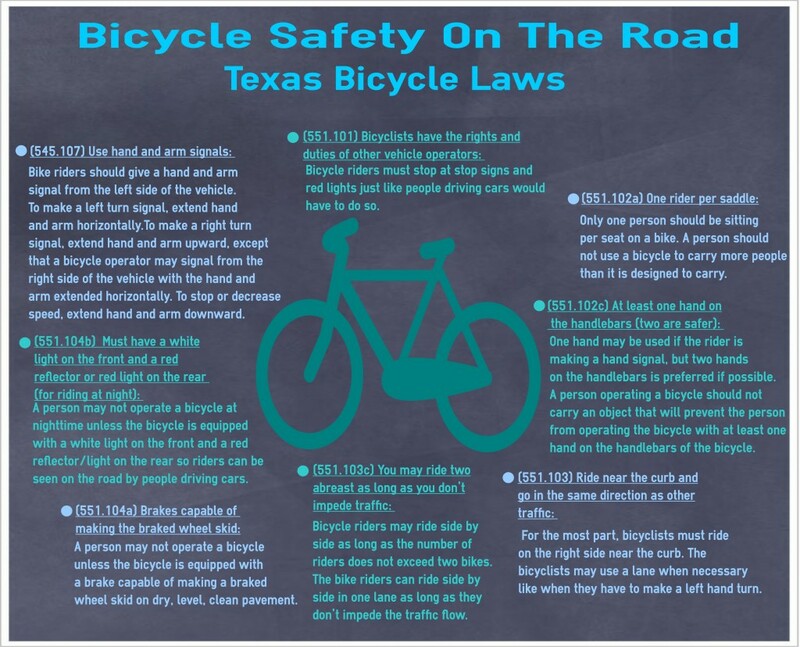 The only other two in the state are located in Houston and Dallas. 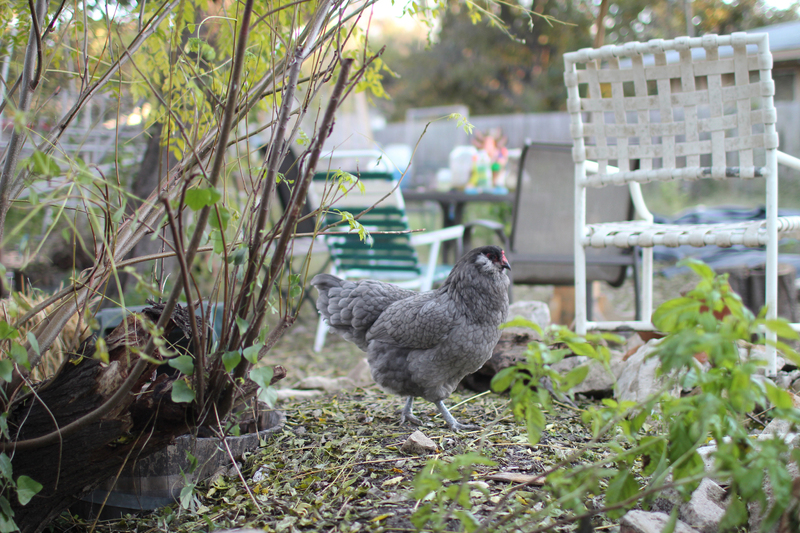 A group of ladies and peer groups in the Austin community originally conceptualized UHS. 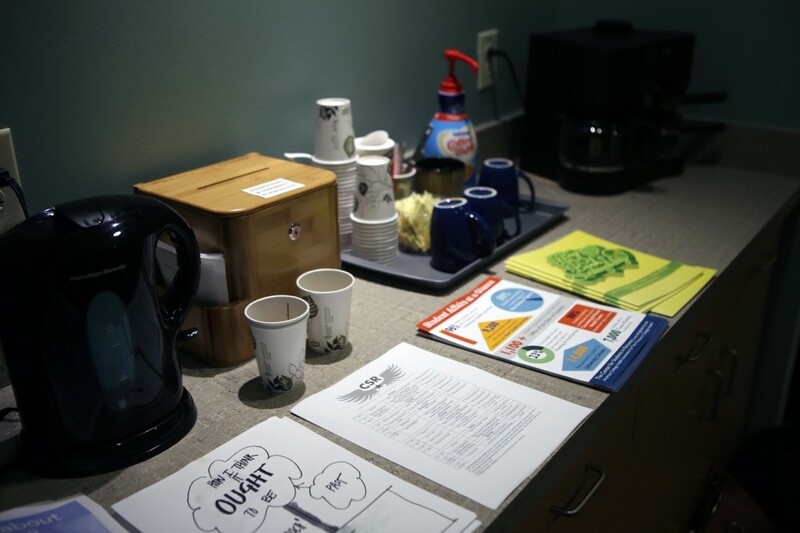 They realized that students in Austin needed a safe and sober place to learn. Adolescent substance use is one of the largest public health problems in the United States, stated the Center on Addiction and Substance Abuse at Columbia University. 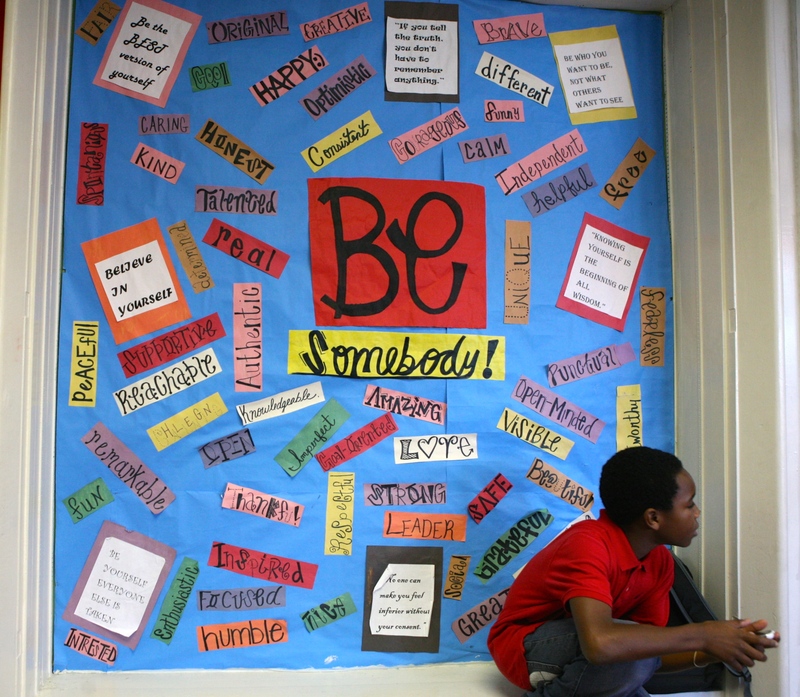 Thus, the need for youth-centered recovery programs is more important now than ever before. Executive Director Becky Ahlgrim welcomes UHS students from all walks of life into the program. With 20 years of sobriety from drugs and alcohol, she knows the trials that accompany drug addiction. UHS provides an average school day experience for students. There are forty-five minute classes that cover different subjects, and recovery activities during the day that serve as elective credits. 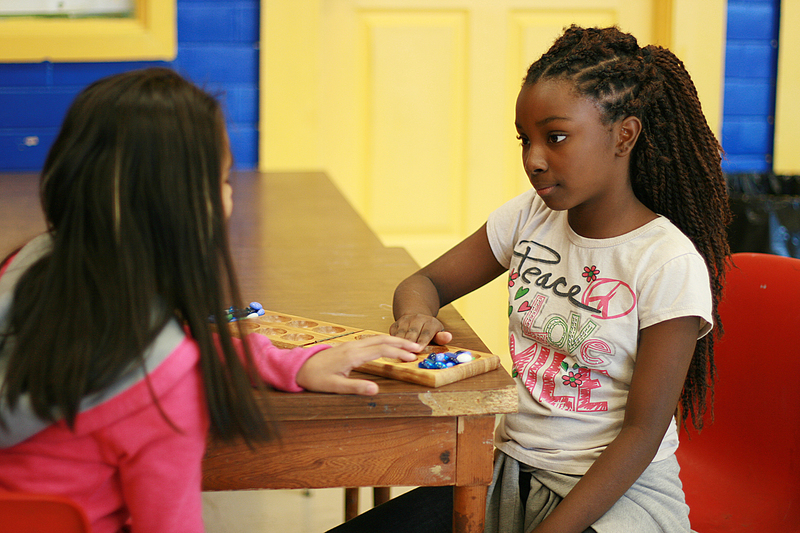 By giving them daily structure, emotional and behavioral support, students gain more confidence in their academic abilities. 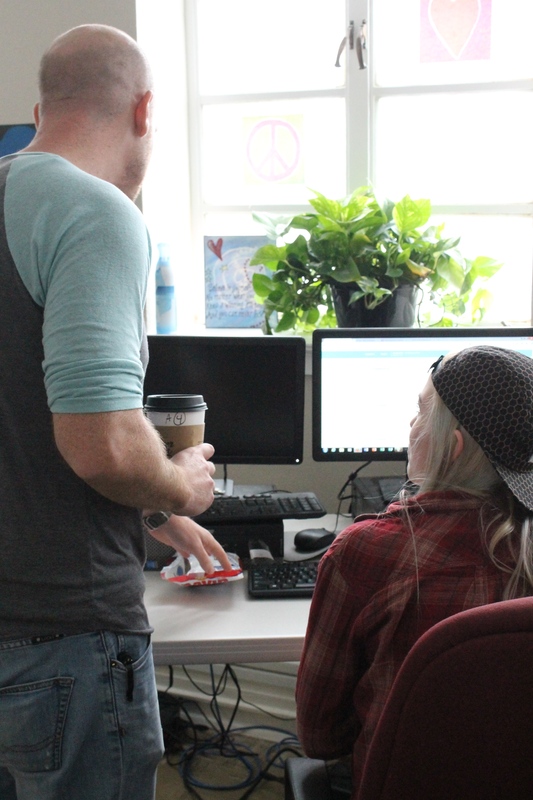 Their collaboration with CSR helped create a bridge between college and high school recovery students. 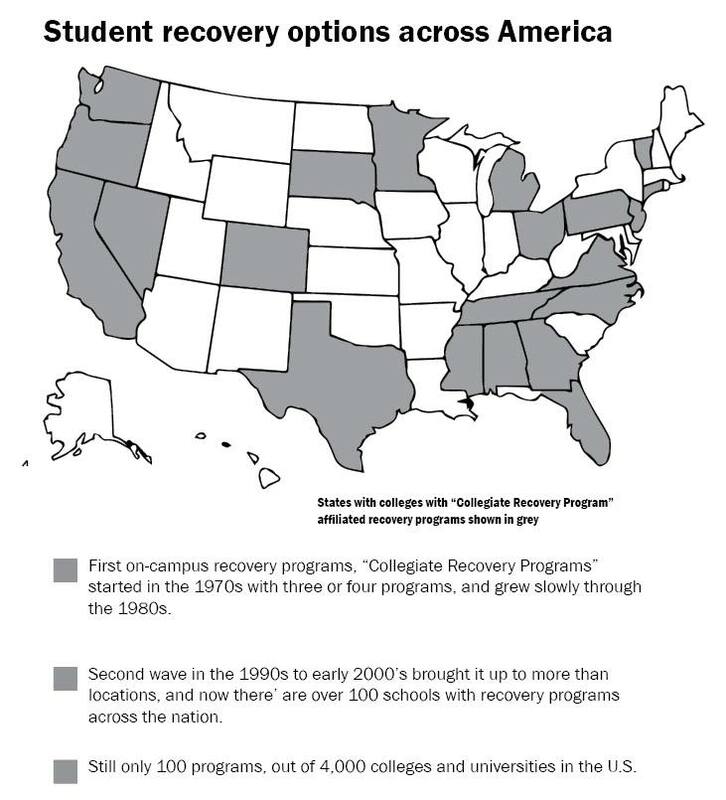 The organizations aim to reinforce the message that recovery is possible and attending college is something to strive for. 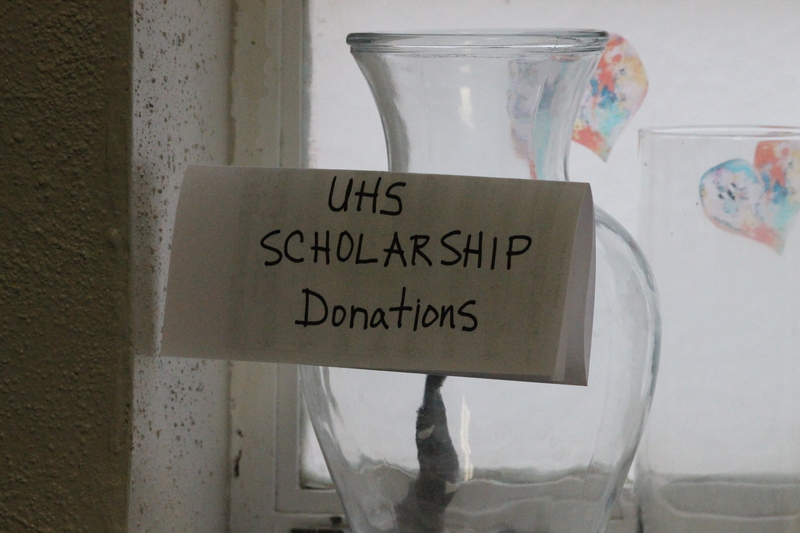 Eventually, the two programs hope to create a mentorship program where senior UHS students pair up with a college student as they make their transition into college. “Our students are on the other side of that and have enough distance from it so they can be that beacon of hope for those students and provide that practical advice like, ‘Here’s how I did it,’” Castedo says. 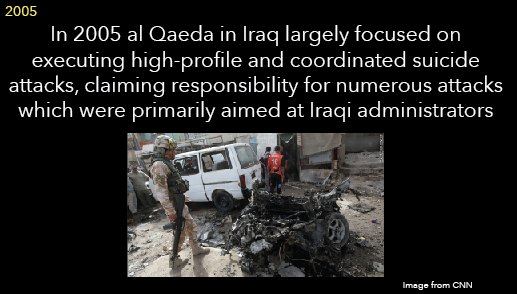 Ahlgrim has similar hopes for the program that should begin in the spring of 2015. “It is just something that I’m very excited for growing very organically, because those kind of relationships are just something that’s meant to be,” she says. Whether in high school or college, these recovery programs have made a real impact in the Austin community and the participants. They’ve helped change the lives of students in recovery and helped build their confidence as they transition into their sobriety. Muscular triceps, muscular biceps and muscular calves. Hundreds of muscles defined by weeks of training and the shadows of spray tans—with just a quick swipe through “#bodybuildinglifestyle” on Instagram. At the time of this article’s publication, the hashtag “bodybuildinglifestyle” has amassed more than 152,000 posts. And it’s not the only online library for bodybuilders and fitness fanatics. 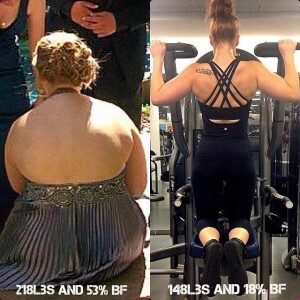 Another fitness-related hashtag, such as “bodybuildingmotivation,” has collected about 210,000 posts, while the growing library under “#fitfam” has reached more than 15 million. For Austin-based competitive bodybuilder B Barnett, using these hashtags on her personal account has connected her to local and national bodybuilding communities to share tips, inspirational photos and routines. But, as a female bodybuilder, using these hashtags has also has its downsides. Competitions contribute even more to the dent in an athlete’s wallet. In addition to any necessary travel and lodging costs, the bedazzled bikinis worn by competitors can cost upwards of $400, while the heavy-duty spray tan used to highlight muscle definition for Figure classes can cost around $150. Barnett recently placed first in the 2014 NPC Formulation One Championships for Figure Class C, but she began bodybuilding as an experiment. Years ago, she worked for a protein drink company that needed to better understand its bodybuilding market, so she volunteered to become a part of the fitness community. 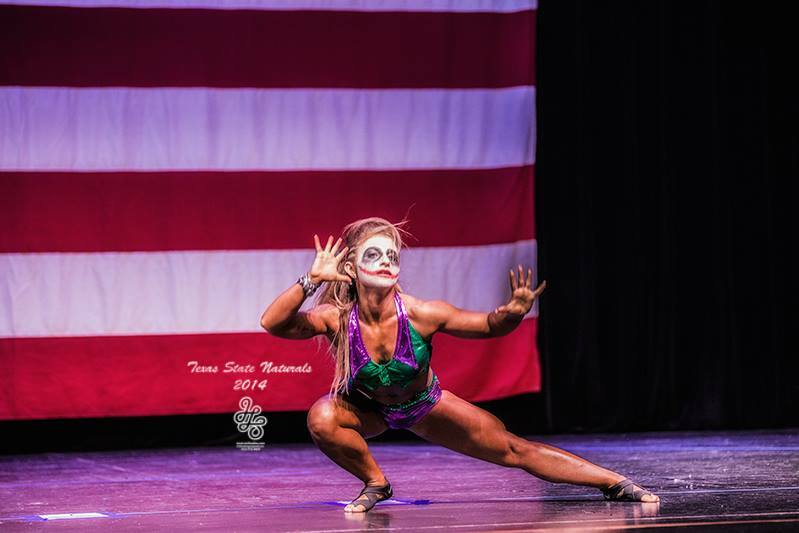 After weeks of training and her first competition at the Texas Shredder, one of the state’s 17 yearly bodybuilding competitions, Barnett said she was hooked. These training regimens vary for every bodybuilder depending on their competition, health goals, physical limits and desired muscle definition. Amateur bodybuilder and UT freshman Shelby Chancellor said she gets a workout in at least six times a week, and she “preps” all of her meals, meaning she cooks her meals for the week in one sitting (to ascertain that she accounts for nutritional content and portion size). Alex Feuerman, a UT senior who recently placed at the Texas Shredder competition, agrees that the preparation and focus required for bodybuilding creates a unique lifestyle. In addition to the hours spent cooking and calculating nutritional information, Feuerman and Chancellor both log substantial time at the gym – but even driven athletes need support. Alex Feuerman chooses weights during a training session. Bodybuilders tailor their workouts according to their desired muscular definition. 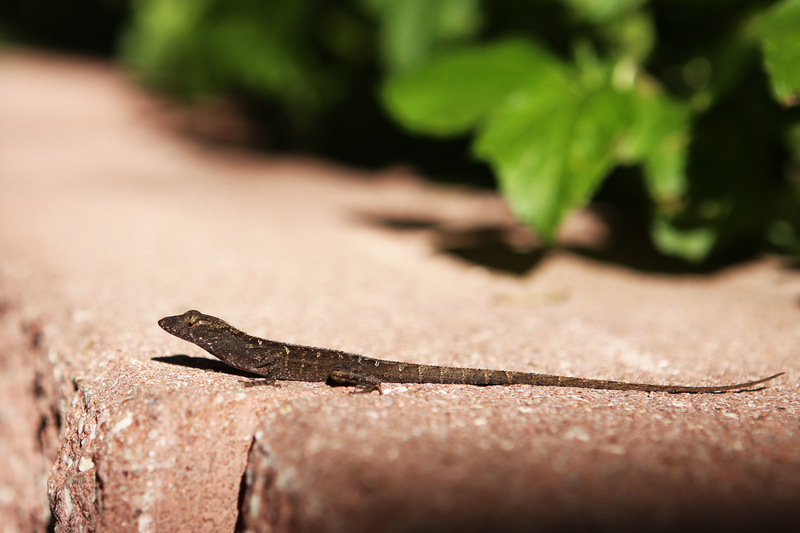 (Photo by Sara Cabral). Alex Feuerman hydrates after an intense workout session. (Photo by Sara Cabral). 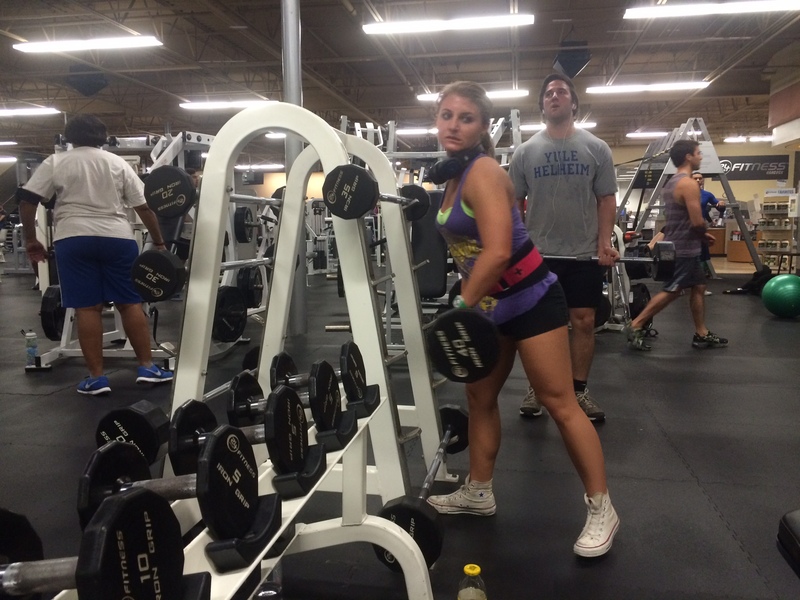 Alex Feuerman lifts to train for her next competition. She said she spends most of her time in the gym. 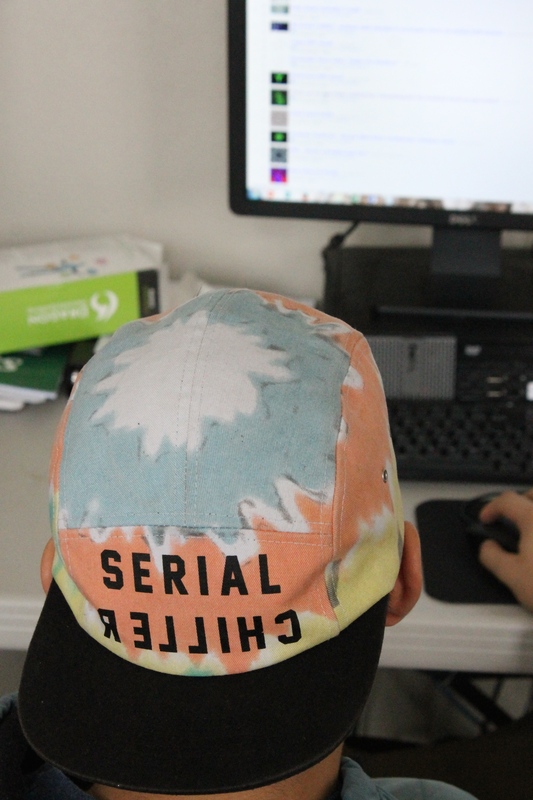 (Photo by Sara Cabral). Alex Feuerman performs a routine during the WNBF/INBF Texas State Natural Bodybuilding Nationals. She modeled her costume after The Joker from "Batman." (Photo courtesy of Alex Feuerman). 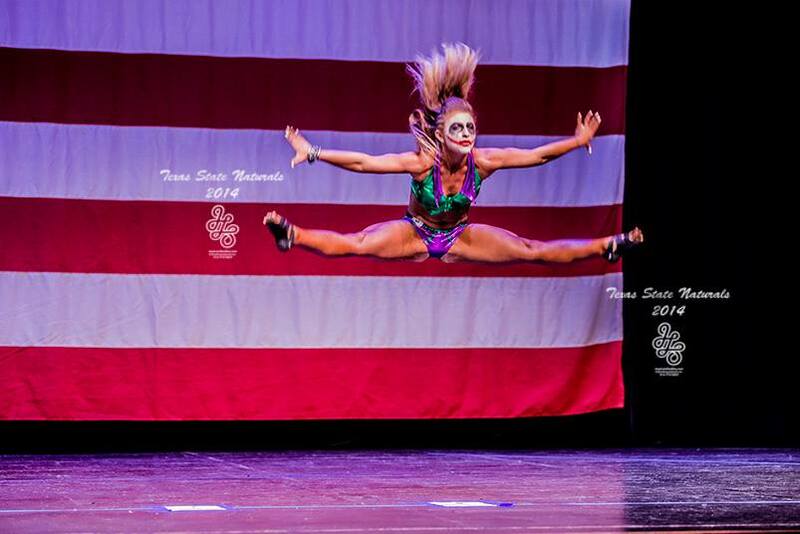 Alex Feuerman competes in the Bikini category at the WNBF/INBF Texas State Natural Bodybuilding Nationals. Female bodybuilders wear elaborately decorated bikinis for competition. 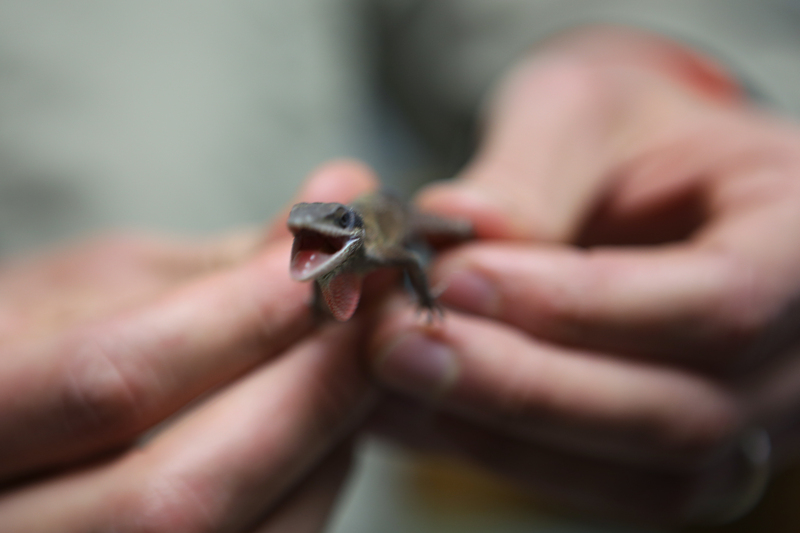 (Photo courtesy of Alex Feuerman). 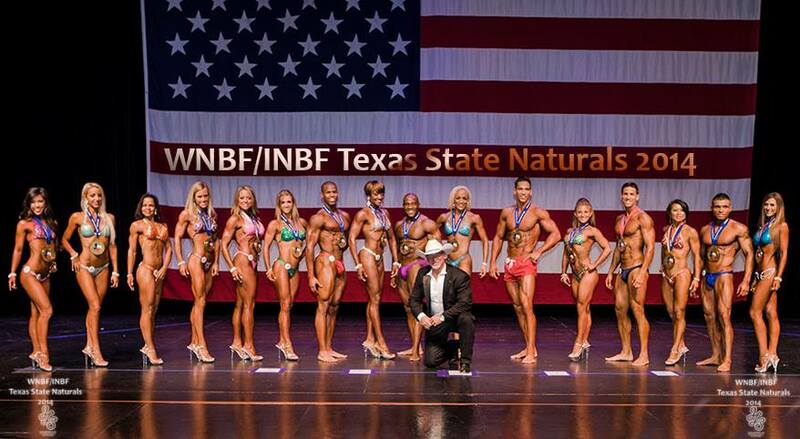 Alex Feuerman poses with other bodybuilding competitors at the WNBF/INBF Texas State Natural Bodybuilding Nationals. (Photo courtesy of Alex Feuerman). 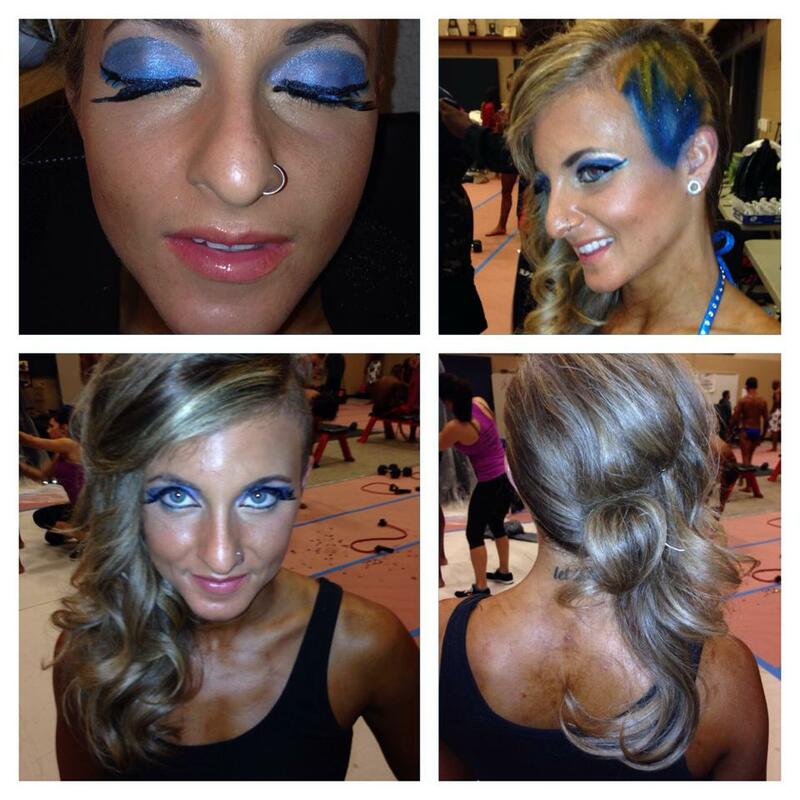 Alex Feuerman pays close attention to her makeup and hair for bodybuilding competitions. She said she has noticed that judges like when competitors incorporate more colors into their look. (Photo courtesy of Alex Feuerman). Alex Feuerman lifts weights to prepare for competition. 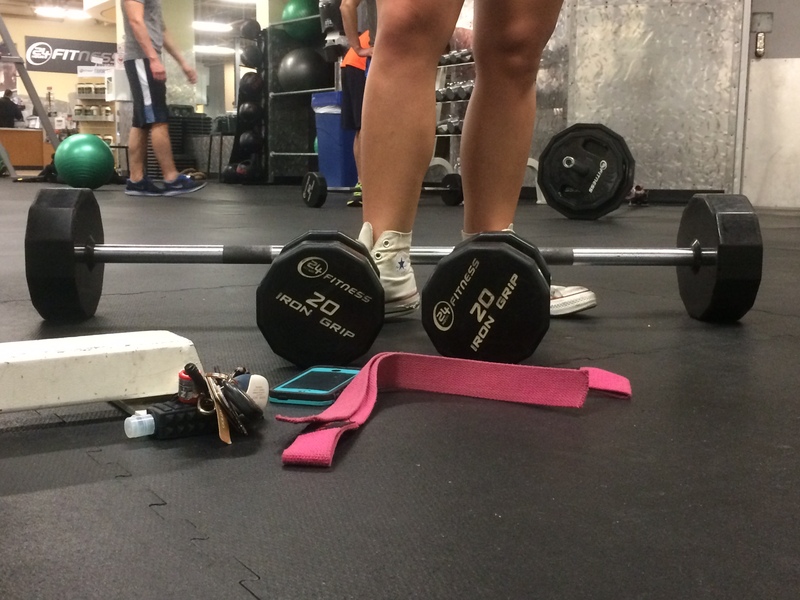 Often, female bodybuilders share photos of them lifting on social media, using the hashtag "girlswholift." 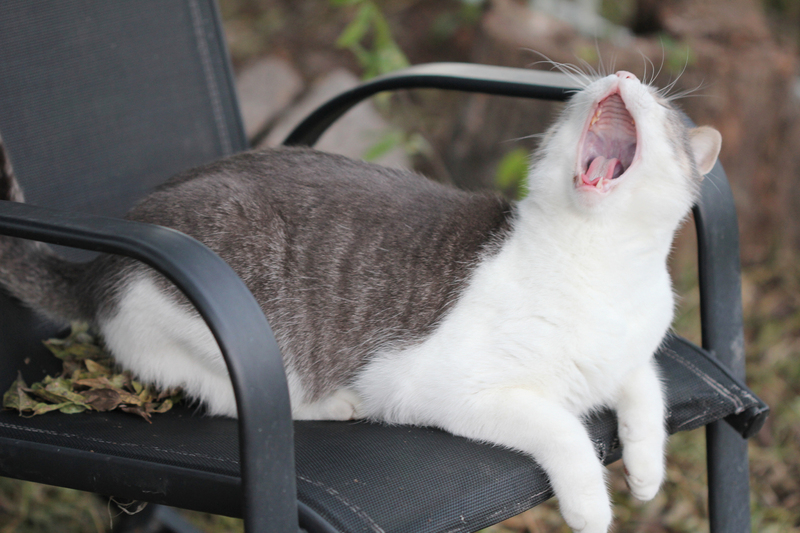 (Photo by Olivia Starich). Alex Feuerman takes a moment to rest in between workouts during a training session at 24-Hour Fitness Gyms. 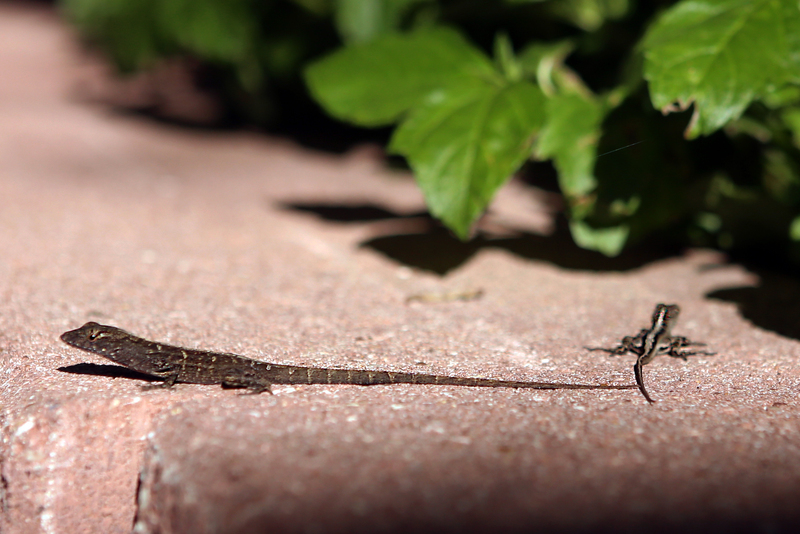 (Photo by Olivia Starich). Staying on track for competition usually requires the help of a professional trainer. Cambridge Dayn-Ryan, a competitive bodybuilder and active member of the Texas bodybuilding community, offers meal prep and workout consultation for other women in the sport. Trimming down fat while gaining muscle takes sacrifices, whether that entails eating every meal out of a microwaveable Tupperware container or trading time with friends for time on the treadmill. On top of the day-to-day changes, Chancellor said that she had trouble overcoming mental barriers when she first started competing. Chancellor motivated herself by following bodybuilders and bodybuilding inspiration accounts on Instagram. She said that she also uses social media to scope out the women she may be up against during a competition. “Even outside of competing, girls constantly compare themselves to one another. Being put in a competition like this one, that constant judgement only becomes stronger,” Chancellor said. Despite the competitive nature of the sport, Chancellor said the communities around bodybuilding are typically positive. 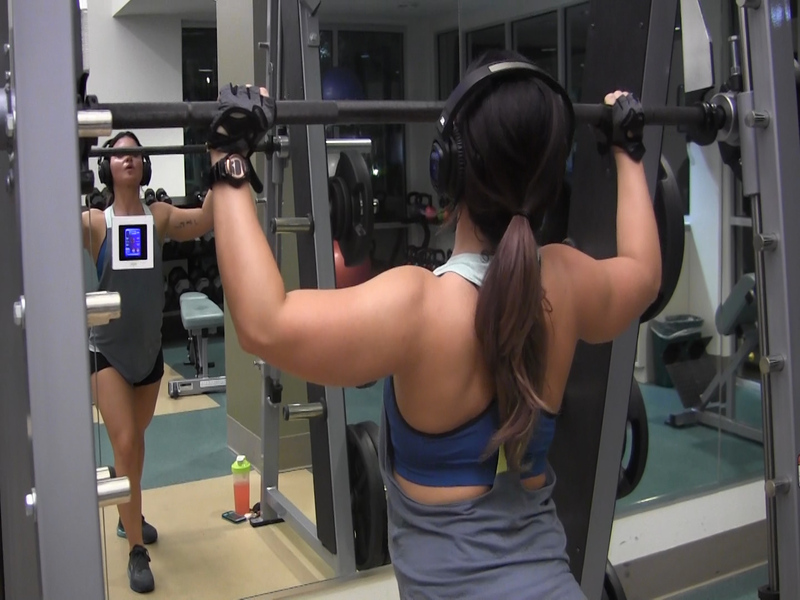 Dayn-Ryan said she specifically uses her Instagram to motivate and encourage others, and Barnett said she has made most of her friends through bodybuilding. Some bodybuilders use the sport’s lifestyle to combat negative body image. Houston native Lauren Hinkel began bodybuilding at 18 years old, when she was 218 pounds and struggling with low self-esteem and a history of self-mutilation. 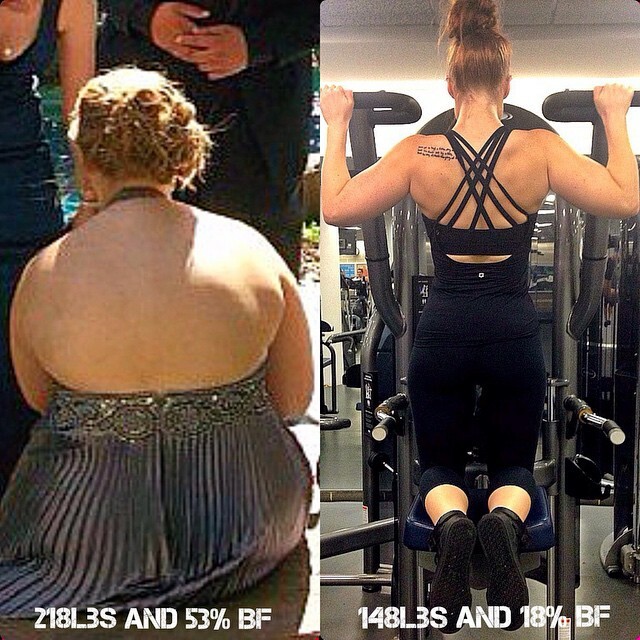 By redefining her physique through the rigorous dieting and training of bodybuilding, Hinkel said she redefined her own self-image. 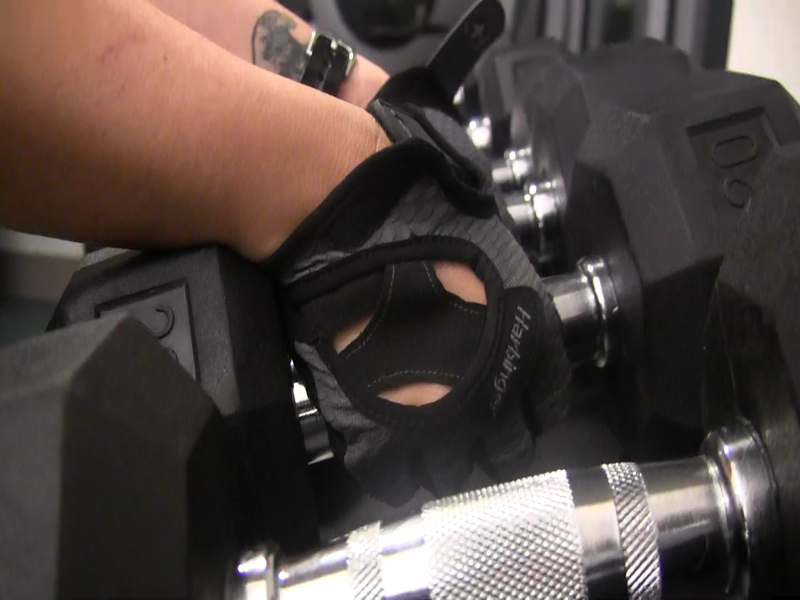 Although these women have found support in the bodybuilding community, Dayn-Ryan said one of the main issues female bodybuilders face is being misunderstood by those outside of their world. For Barnett, competing in bodybuilding has nothing to do with others’ perceptions and everything to do with self-love and a strong community. 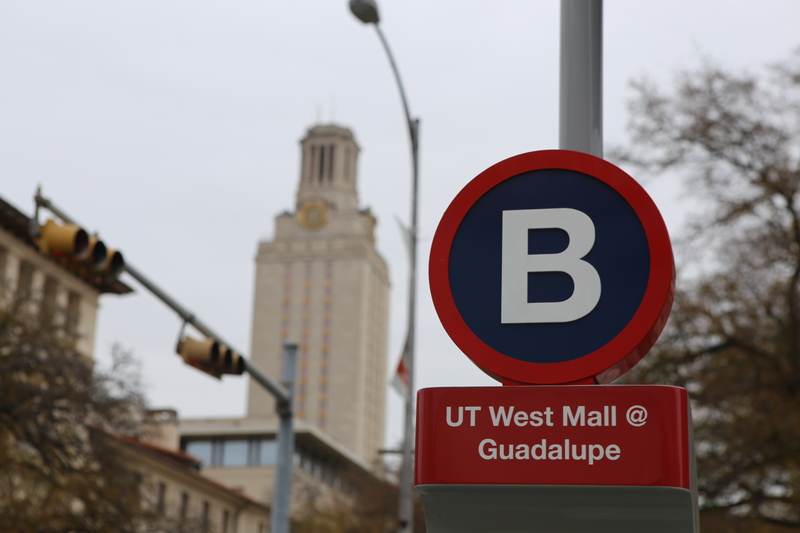 It was a cold, Saturday morning as rain covered the empty streets of downtown Austin. 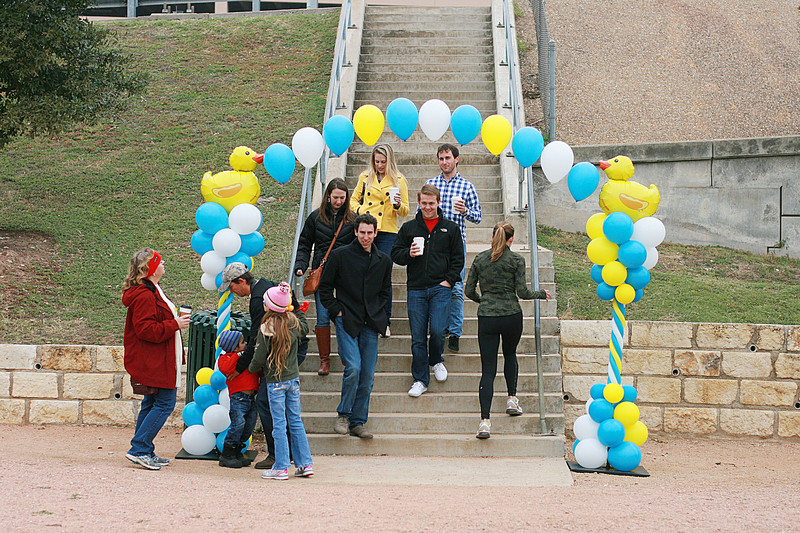 The city seemed to be sleeping but under Ann W. Richards Congress Avenue Bridge, commonly referred to as “The Bat Bridge” by Austinites, the very first Austin Duck Derby was taking place. A boat filled with VIP spectators awaits the start of the Austin Duck Derby 2014 . The event Benefitted the Boys & Girls Club Foundation. Photo by Silvana Di Ravenna. 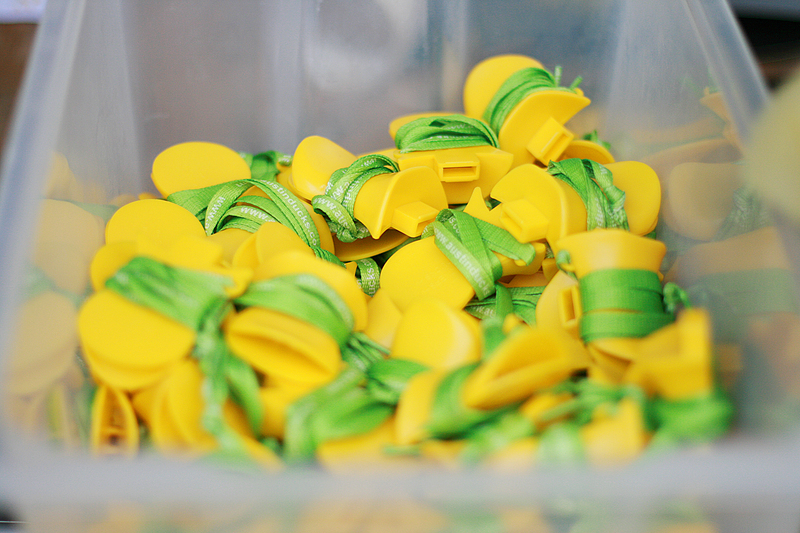 At the event, several people walked around sporting yellow duck-beak whistles while others were dressed in duck-themed attire. The event also featured a duck mascot available for pictures, dancing, and entertainment. 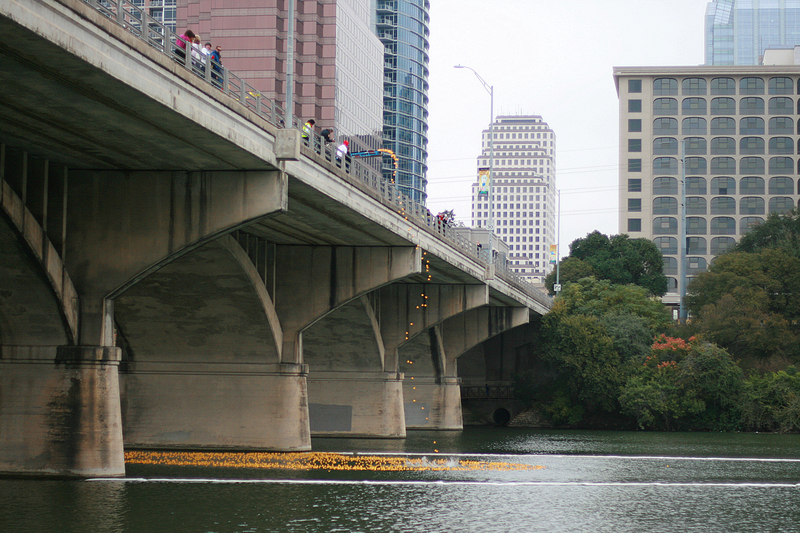 The Austin Duck Derby, held on Nov.15, launched a mass of more than 10,000 yellow rubber ducks into Lady Bird Lake. The ducks raced to the finish line to win prizes for their adopters. The ducks, which were bombarded into the water from the top of the bridge, marveled the kids and parents that happily awaited near the shore, bundled in hats and furry coats. Besides the colorful spectacle that the event provided, which also included face painting, hula hoopers and live music, the purpose of the race had a serious goal in mind: to raise much needed fundings for the Boys and Girls Club Foundation, a non-profit organization that supports and provides assistance to the Boys and Girls Clubs of the Austin Area. Every year, over 12,000 kids (and over 1,700 each day) are nurtured and taken care of in 22 welcoming Austin locations, which provide hope and opportunity to children ages 6 to 18. 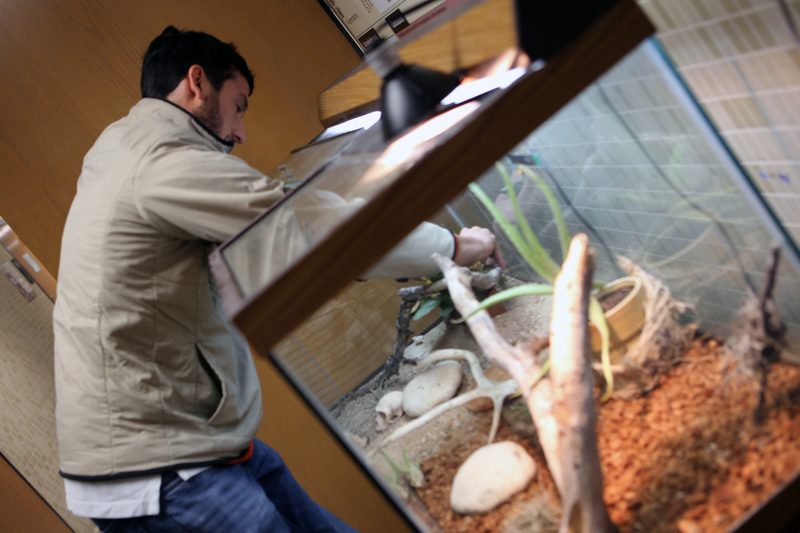 The centers offer various classes and activities including leadership development, arts, health and recreational sports. 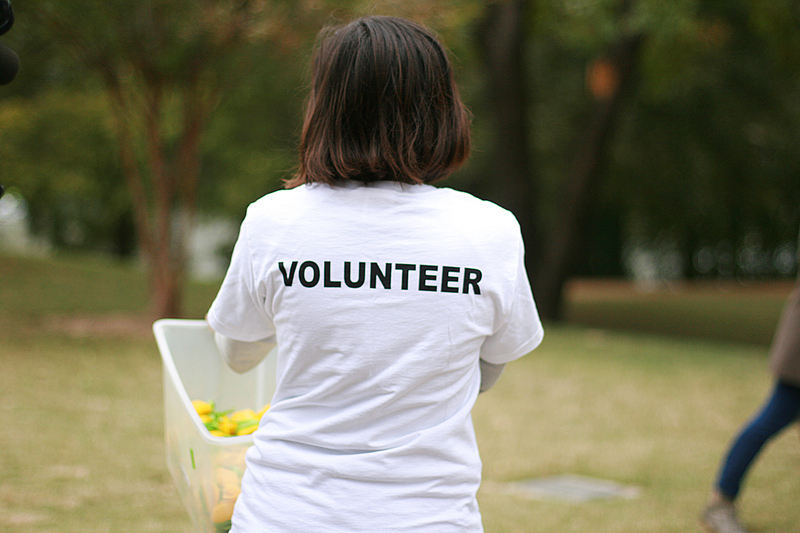 The club relies on volunteers who offer their time as coaches, tutors and activities assistants. 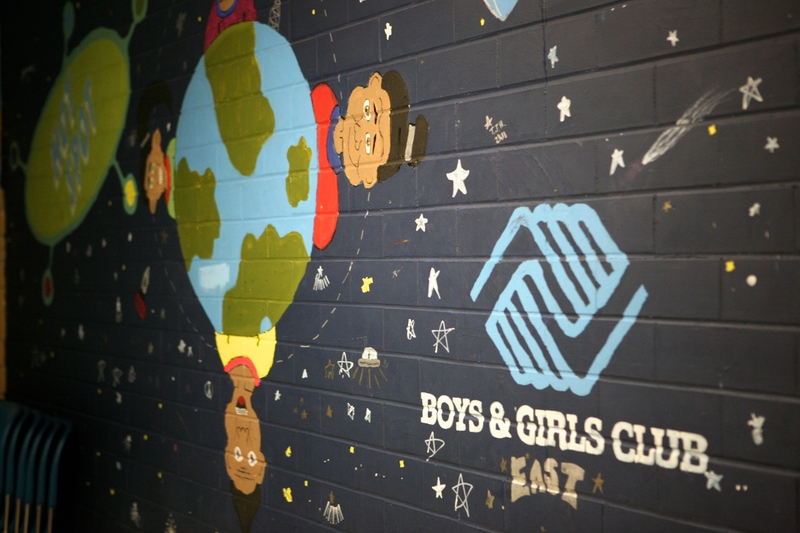 The Boys and Girls clubs welcome children of all races and backgrounds. The Austin area shows a predominance of Hispanic (57%) and African Americans (32%) children. 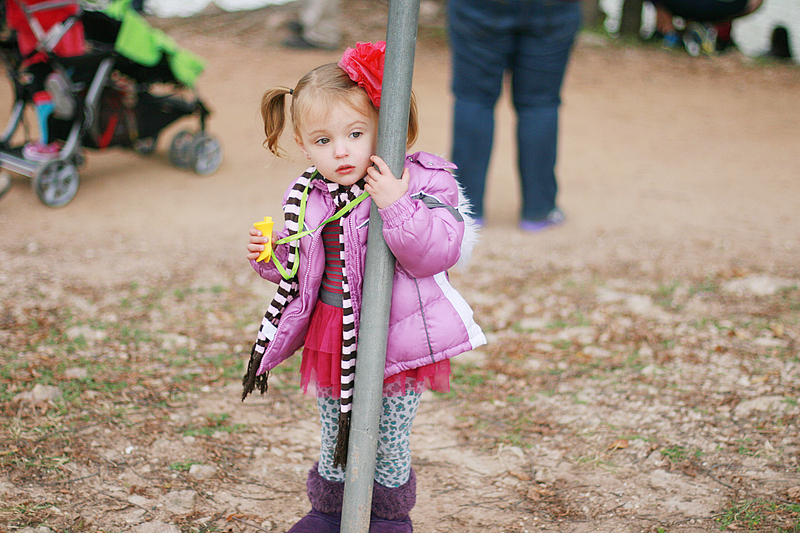 Most kids fall in the 13-18 and 6-7 age groups (source: bgcaustin.org) Photo by Silvana Di Ravenna. 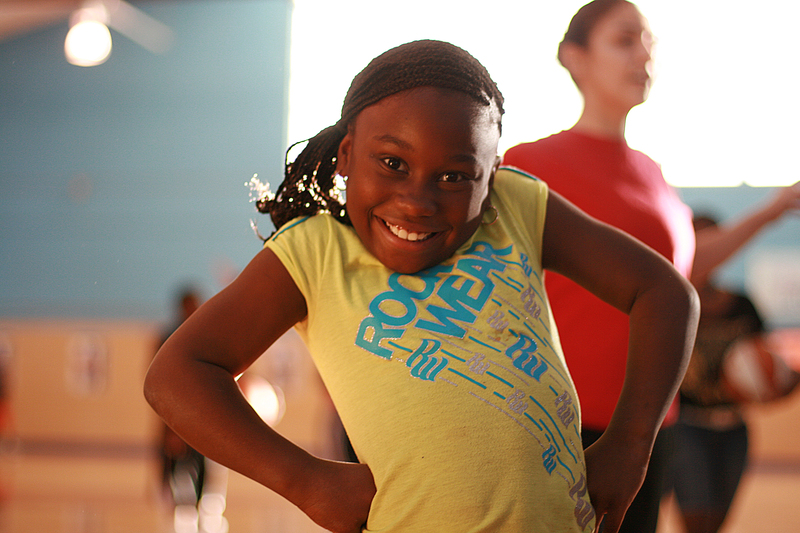 Sport, Fitness and Recreation is one of 5 core curriculum areas the Boys and Girls clubs provide. 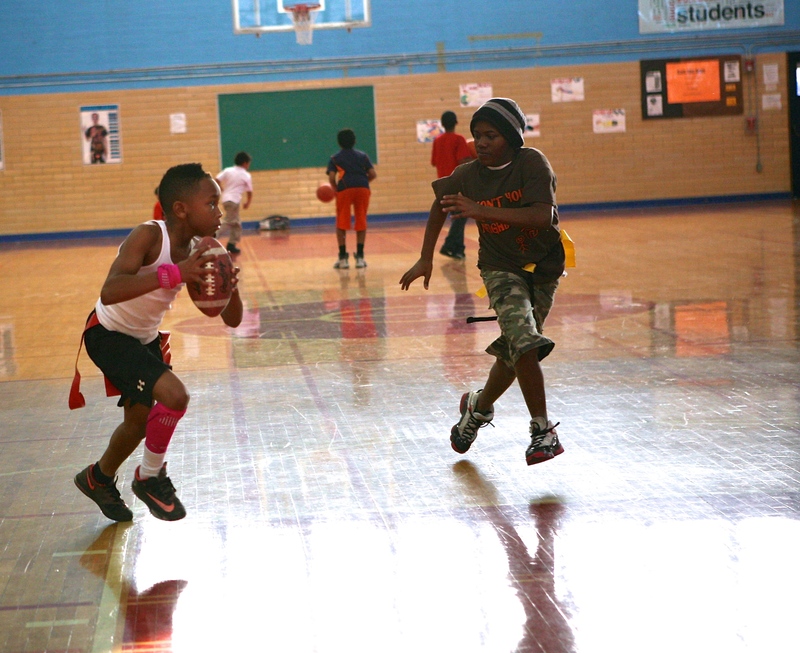 Volunteering coaches encourage fitness, positive use of leisure time, skills for stress management, appreciation for the environment, and social skills. Photo by Silvana Di Ravenna. The Non-profit’s message is boldly stated in the stairs of the East Austin Club. 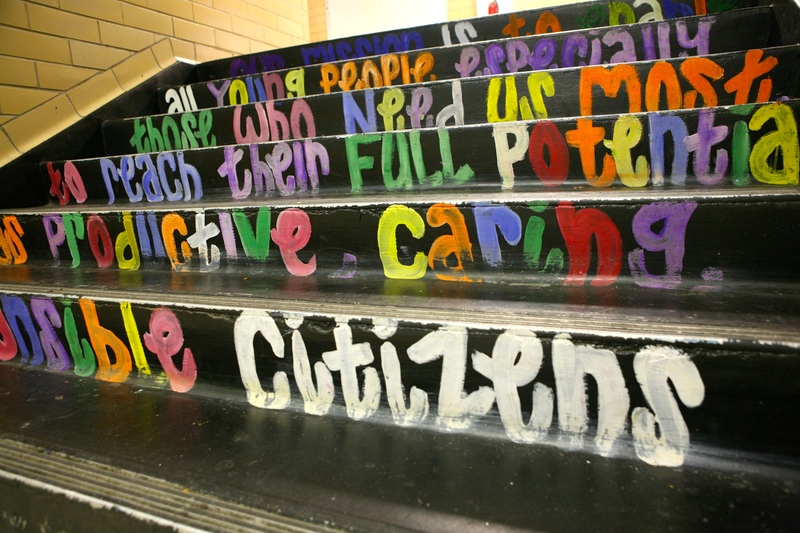 It reads “Our mission is to enable all young people, especially those who need us most, to reach their full potential as productive, caring, responsible citizens.” Photo by Breanna Luna. In spite of high school dropout rates for Latino and African American students, 100% of Club members graduate from high school on time. (source: bgcaustin.org) Photo by Breanna Luna. Volunteers play a vital role in transforming the lives of the Club members, and they can have a tremendous impact on a child’s life. 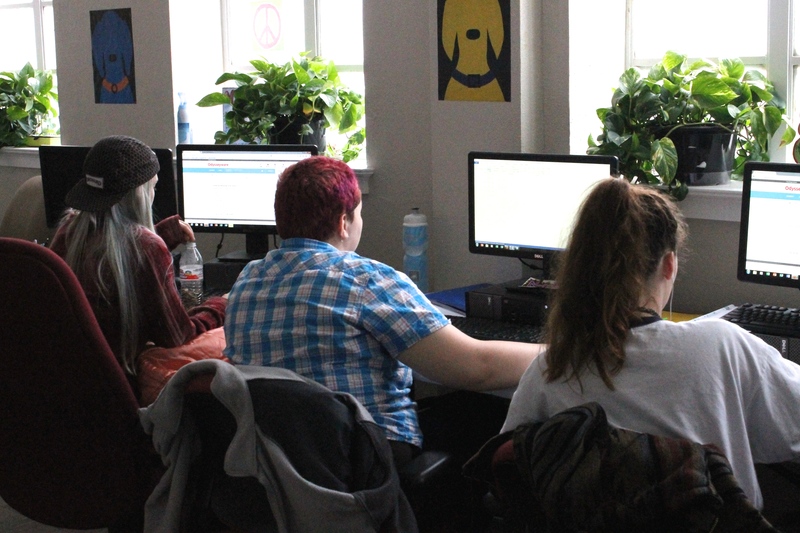 The Club offers opportunities for adults to work directly with youth as homework helpers and tutors, activities assistants, coaching and college preparation support. (source: bgcaustin.org) Photo by Silvana Di Ravenna. 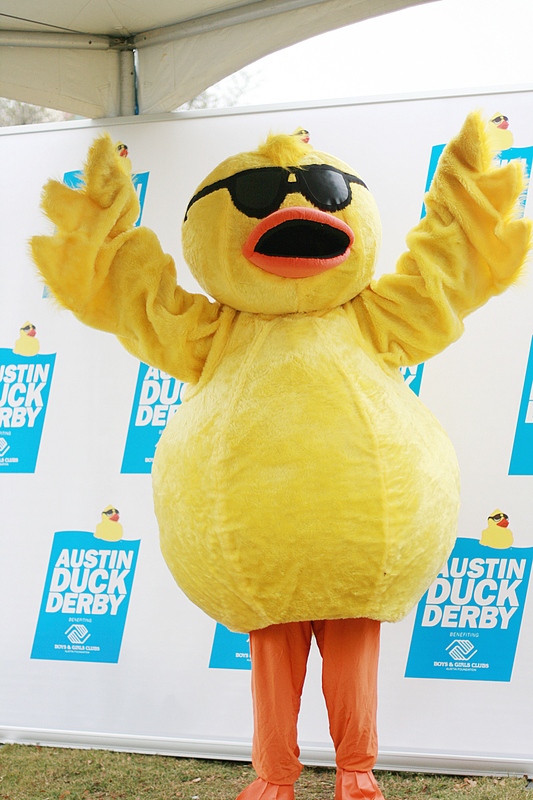 Kelly St. Julien, the East Austin Boys & Girls Club Director, said that all the funds for the Austin Duck Derby go to the Boys & Girls Club Foundation of Austin. They use funds to support programs in the clubs and to cover the large amount of expenses. “At clubs, our biggest expense is payroll of staff and supplies. We have a lot of overhead in terms of consumables like paint, crayons, pencils, paper, basketballs, jump-ropes, and everything you can think of that kids like to play with. 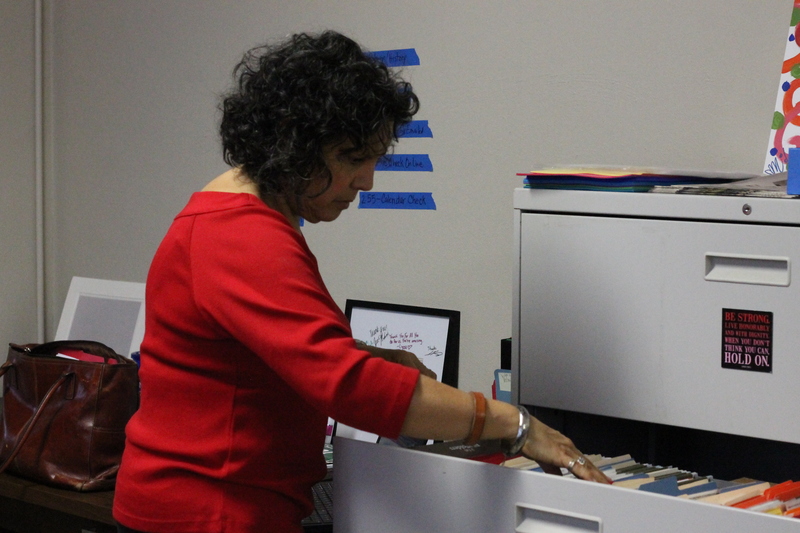 There are a lot of kind people in Austin who donate, but we need things on a regular basis,” St. Julien said. 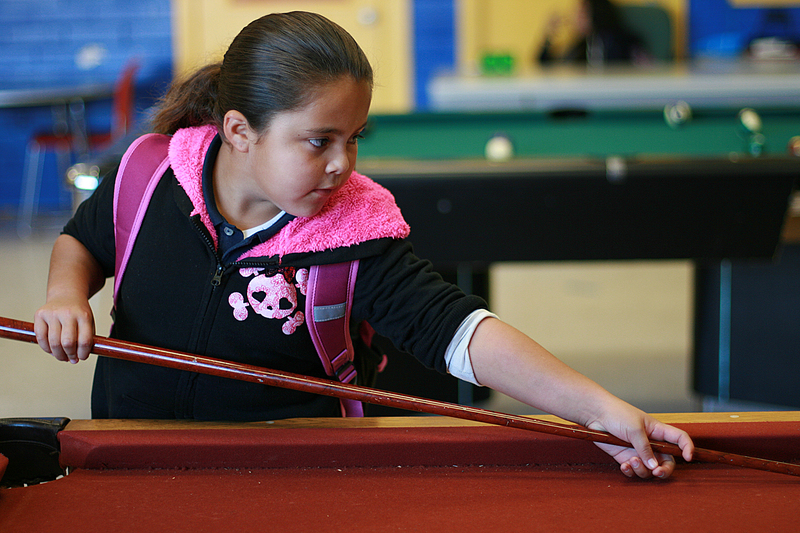 At the Boys & Girls Club in East Austin, funds raised go towards drum sets, pool tables, ping pong tables, marbles, basketballs, and school supplies for classes taught by instructors. When they are not in class learning, children are able to play sports and games with other children. 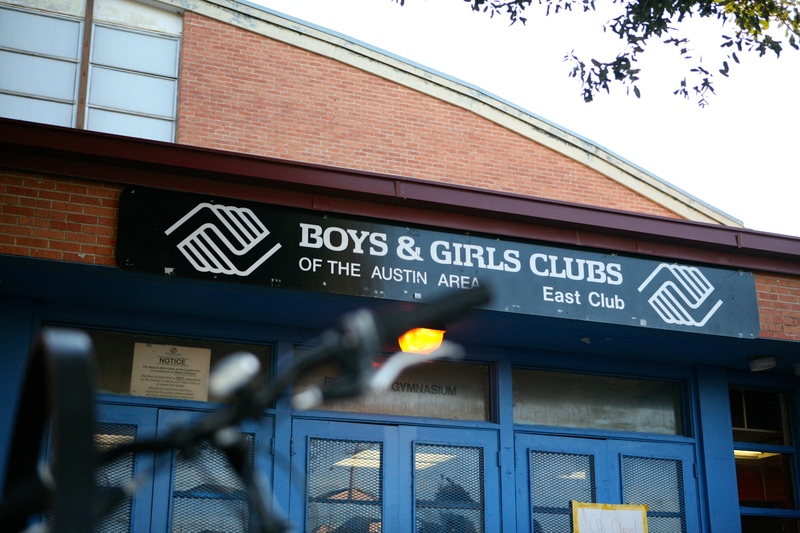 11-year-old Sanoya, a member of the East Austin club, said that her favorite part of going to the Boys & Girls Club is the extracurricular activities. 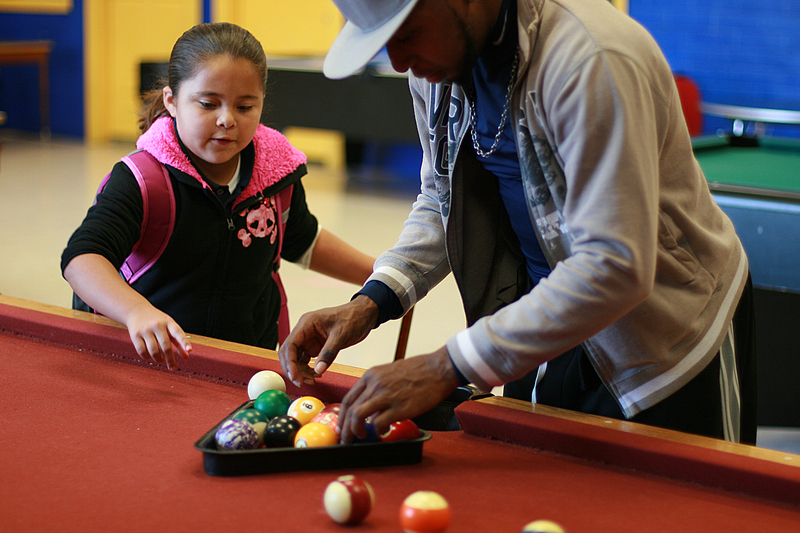 “I like playing ping pong when I come to the club because it’s really fun,” Sanoya said. Gina Hill, the Special Events Chair for the Boys and Girls Club Foundation, mentioned at the event that this was the first time the Duck Derby has benefitted the Boys and Girls Club of Austin. The Duck Derby races, which have been going on for 26 years, have been used during similar fundraisers across the nation in other cities for the Special Olympics and food banks. A dancing duck was at the event to groove to the music. Several attendees took pictures and danced with the duck. Photo by Silvana Di Ravenna. “We are very excited to have raised 10,000 ducks and about $50,000 total in this effort today. This money goes into the programs that help the clubs kids. We hope that the event also helps raise awareness for the Boys and Girls Club of Austin,” she said. 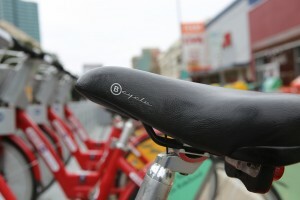 The event was sponsored by more than 35 local national and local business, which provided prizes for the race. Sponsors included Amy’s Ice Cream, Whole Foods and the Austin Fire Department. Participants had the opportunity to “adopt” a racing rubber duck for $5 dollars with the chance of winning anything from a round of golf at Palmer Lakeside Golf Course to a 2014 Volkswagen Jetta. 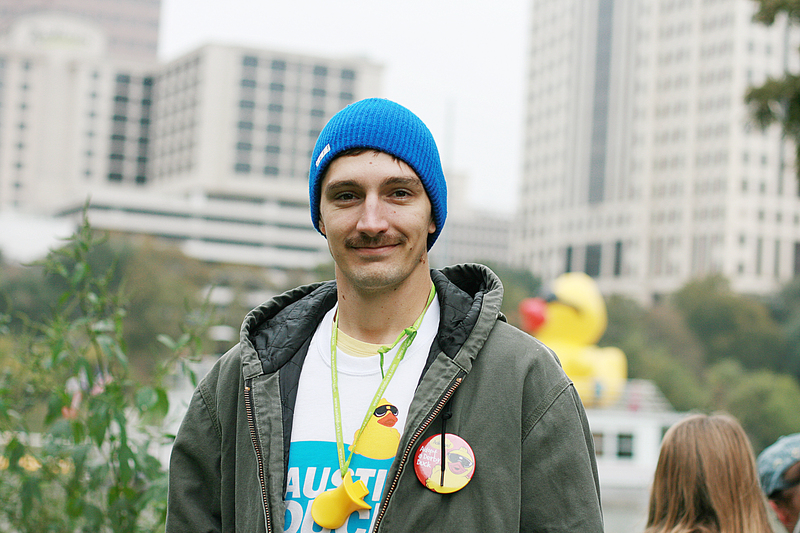 Andrew Garvin, who used to attend the Boys and Girls Club during his youth and currently does PR and Consulting on his own, became this year’s official promoter and face of The Austin Duck Derby. He decided to participate in the race when Gina Hill herself invited him to join in at a different event. He said that the experience was the perfect opportunity to give back to an organization that did so much for him. Andrew Garvin, the official promoter and face of the Austin Duck Derby, stands near the duck race and takes observations of the event’s success. Garvin used to attend the Boys & Girls Club during his youth and hopes to give back as much as possible to the organization in order to help other children who are in similar situations that he faced growing up. Photo by Silvana Di Ravenna. 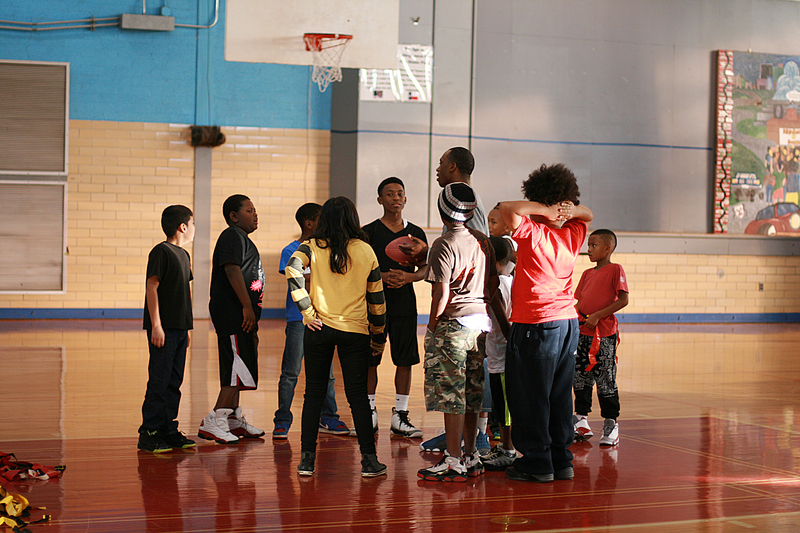 “If it wasn’t for the Boys and Girls Club I wouldn’t be where I am today. I lived in a low-income house and we didn’t have a basketball court or gym equipment, computers, assistance nor tutoring. The club gave us a place to be and it was a good social setting for kids that didn’t have that opportunity outside of class or outside school,” Garvin said. According to St. Julien, the Austin Duck Derby is a way to get the entire community involved while informing them of what the club does. It is also a fun event that is easy to take part in. 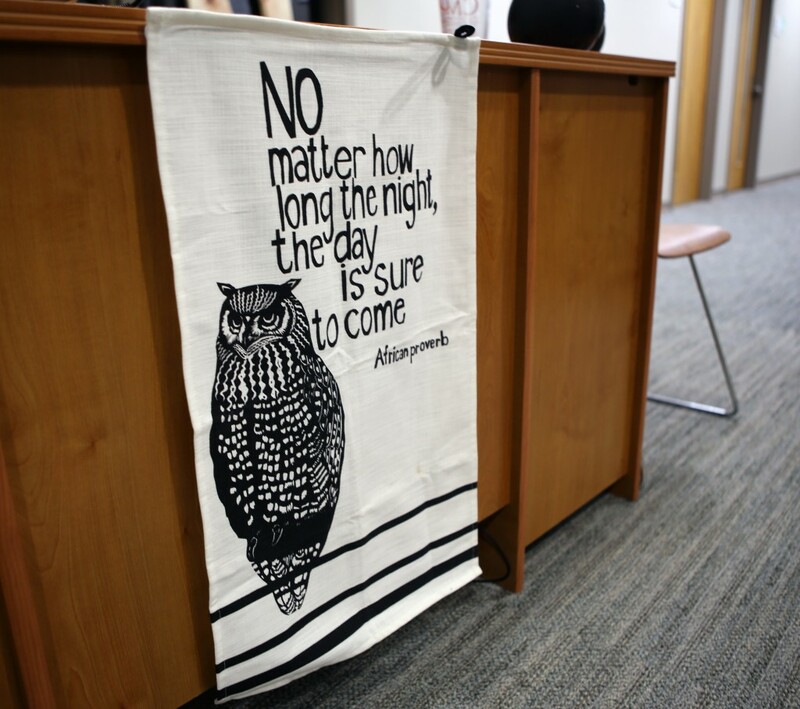 “We really wanted to make our fundraising more accessible to everyone. Only so many people can attend our Boys and Girls Club spring luncheon, our fall gala, and our golf tournament. The duck derby serves a dual purpose of getting the word out about who we are to people who might not know us while allowing people to support us, and culminate that in a fun way,” St. Julien added. Duck bills were available to get the attendees in the “quacky” spirit. The quacks were used to countdown the launch of the ducks. Photo by Silvana Di Ravenna. Lindsay Wolf, a volunteer, handed out duck bills to the attendees, making sure everyone was prepared for the ducks to be launched. Photo by Silvana DI Ravenna. “A couple that quacks together, stays together!” Everyone was in the duck spirit while they waited to see if their ducks won the race. Photo by Silvana Di Ravenna. 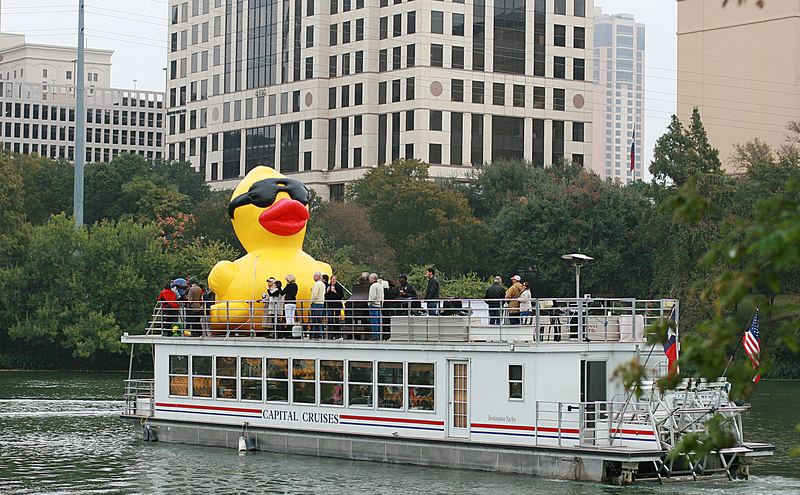 The Lady Bird Lake was the site for the duck race. The ducks were launched from the bridge by the hundreds as attendees watched from the embankment. Photo by Silvana Di Ravenna. 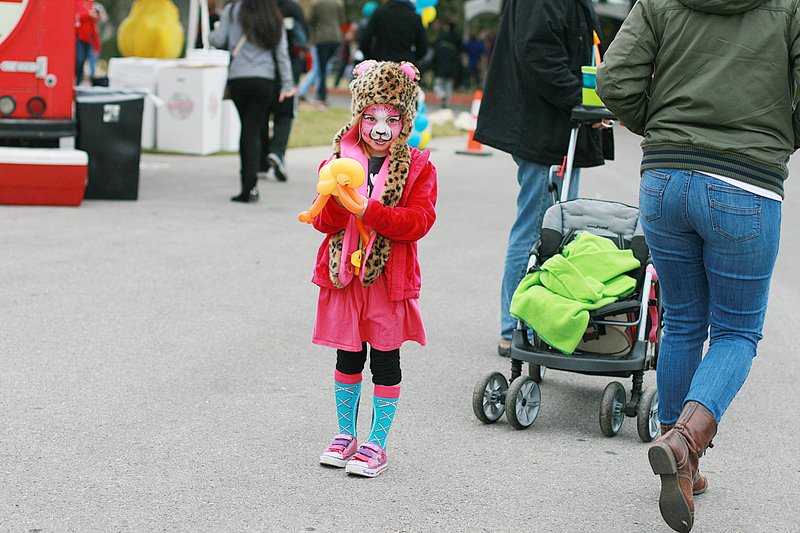 Kids of all ages came to see the rubber duckies race. 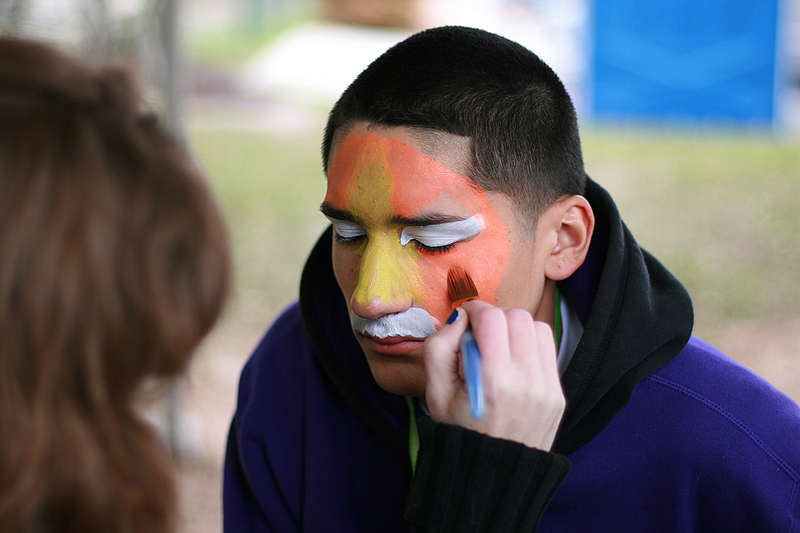 There were several events available for the kids to enjoy such as face painting. Photo by Silvana Di Ravenna. A face painting artist creates unique facial designs free of cost to anyone who is at the Austin Duck Derby. Several attendees choose to have their faces painted with ducks in honor of the 10,000 rubber ducks launched for the derby race. Photo by Silvana Di Ravenna. 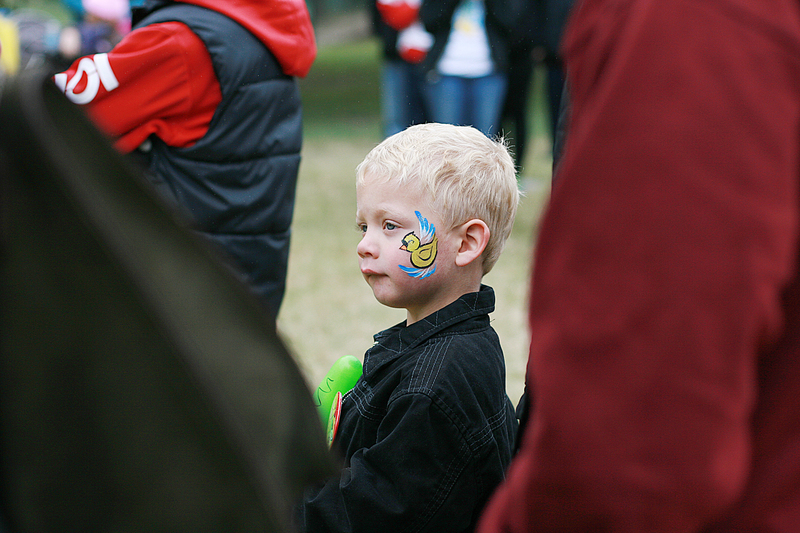 A young boy at the Austin Duck Derby stands by his mother, sporting a duck painted on his cheek, while watching the DJ play some tunes. Many others surround the stage, listening to upbeat music at the event while waiting for the winners to be announced. Photo by Silvana Di Ravenna. 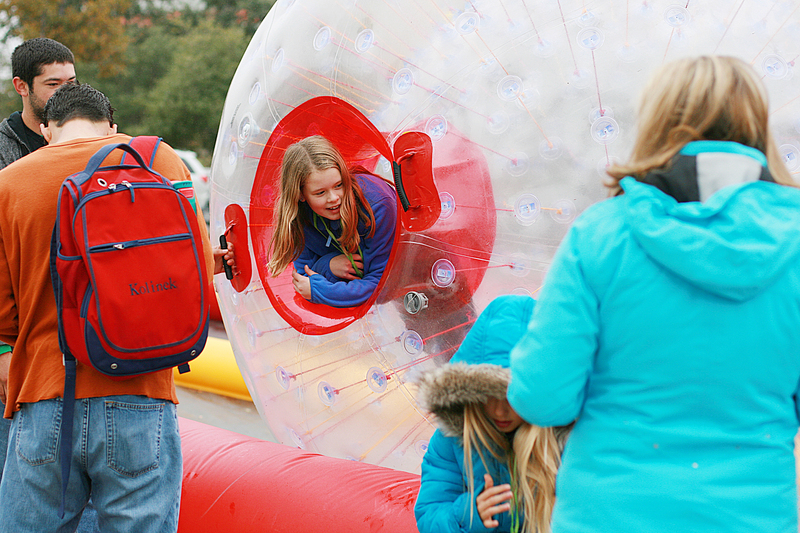 Children run and roll around individually in inflatable “human hamster balls” on a track. Two separate track lanes allow children to race back and forth as many times as they choose while parents stand by and watch. Photo by Silvana Di Ravenna. Duck Derby Video from Briana Franklin on Vimeo.